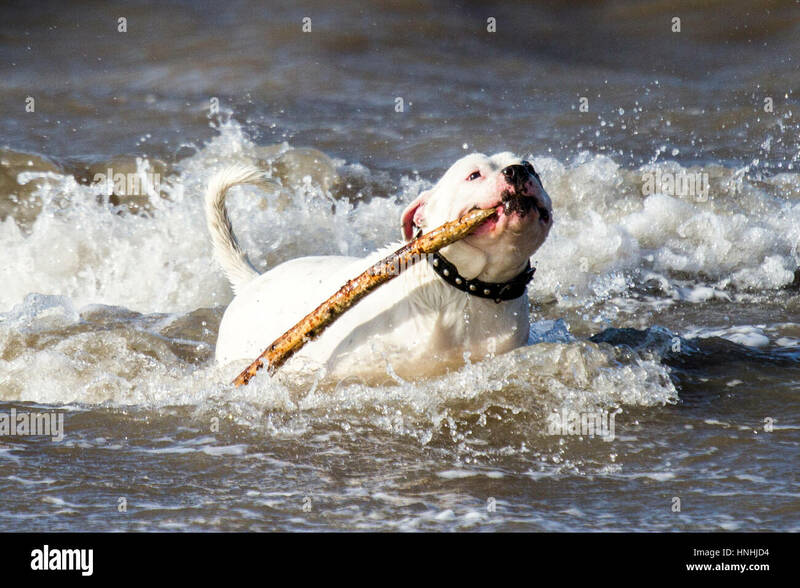 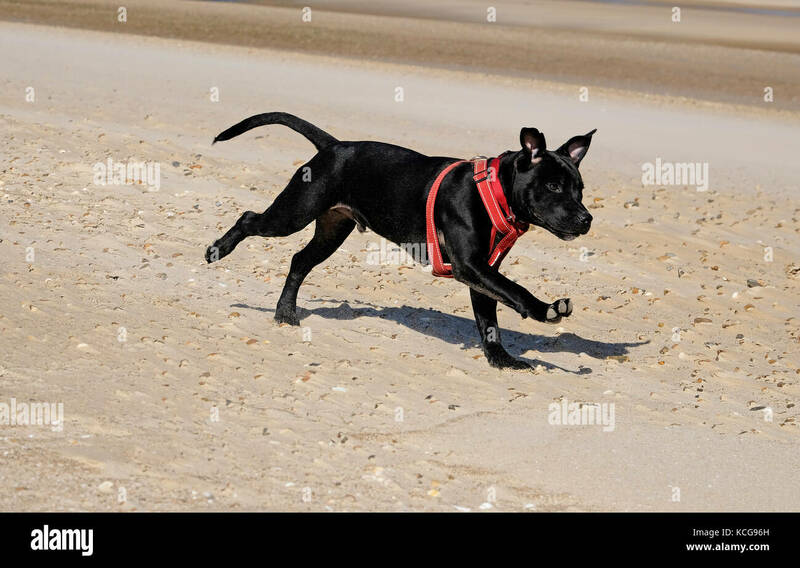 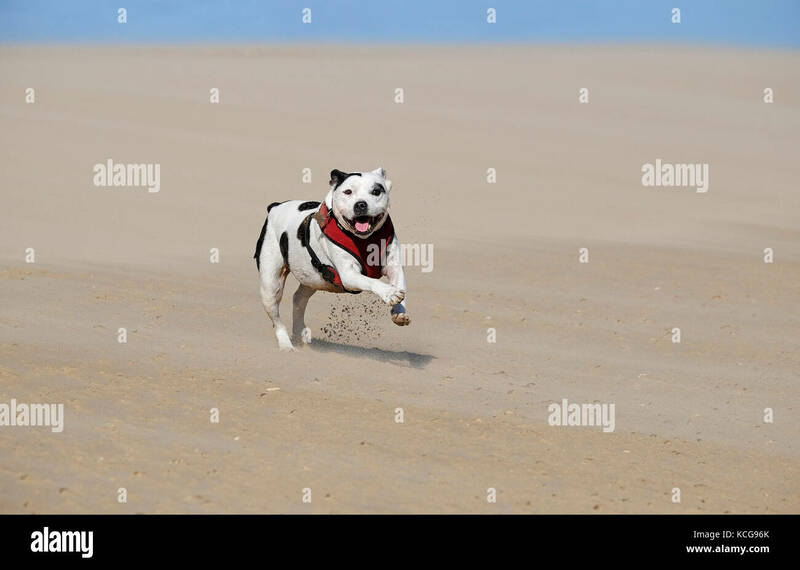 Dog plays on the beach, The Wirral, Merseyside, UK. 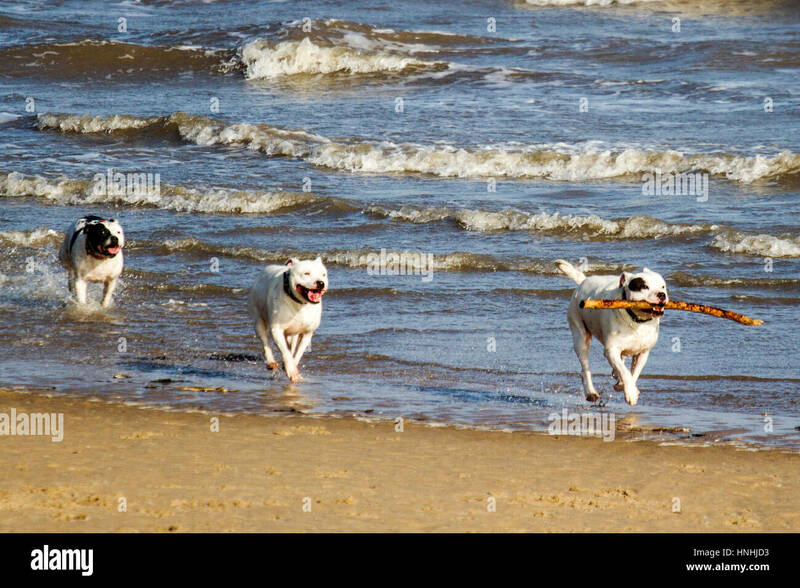 13th Feb, 2017. 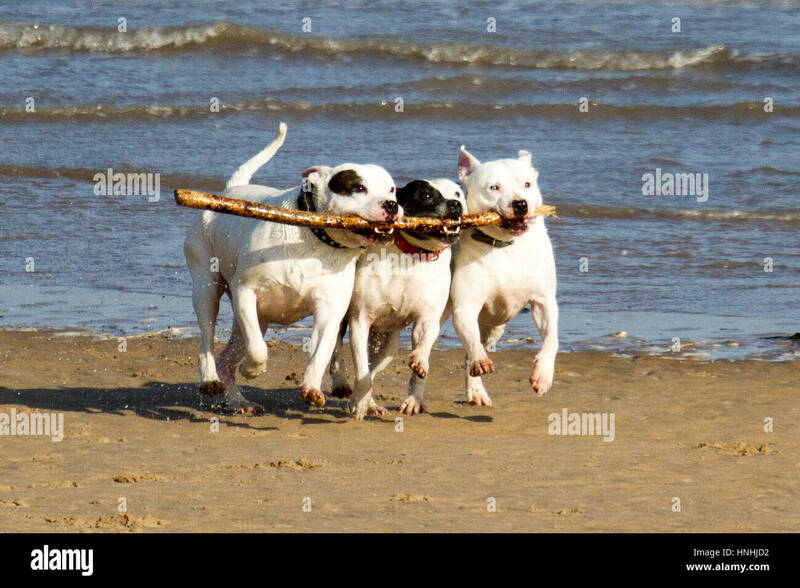 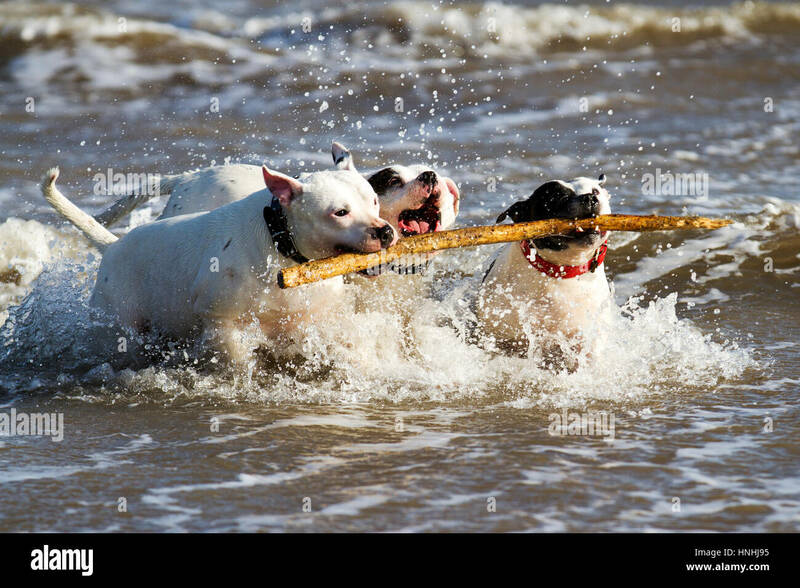 Gorgeous sunlight bathes the sandy beach at New Brighton as the these three daft dogs play, sea, dog, beach, pet, animal, summer, happy, water, fun, play, nature, cute, ocean, sand, playing, young, canine, active, outdoor, puppy, playful with one stick between them. 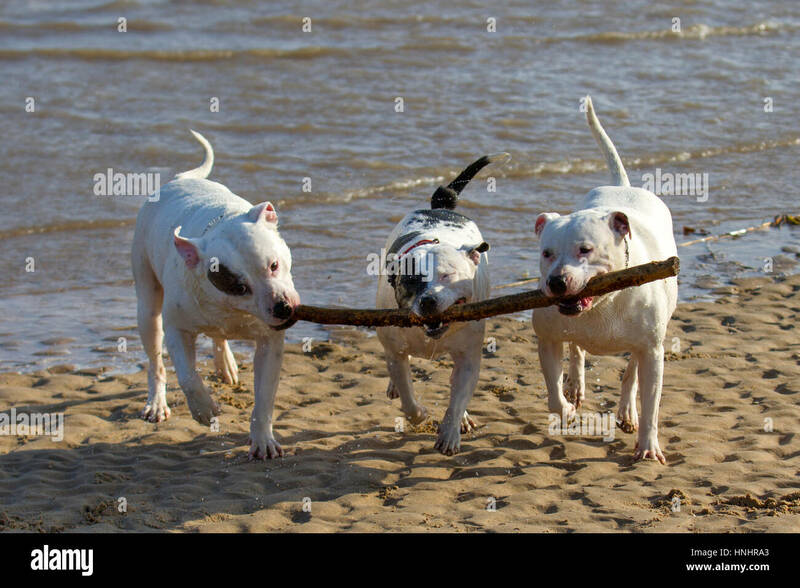 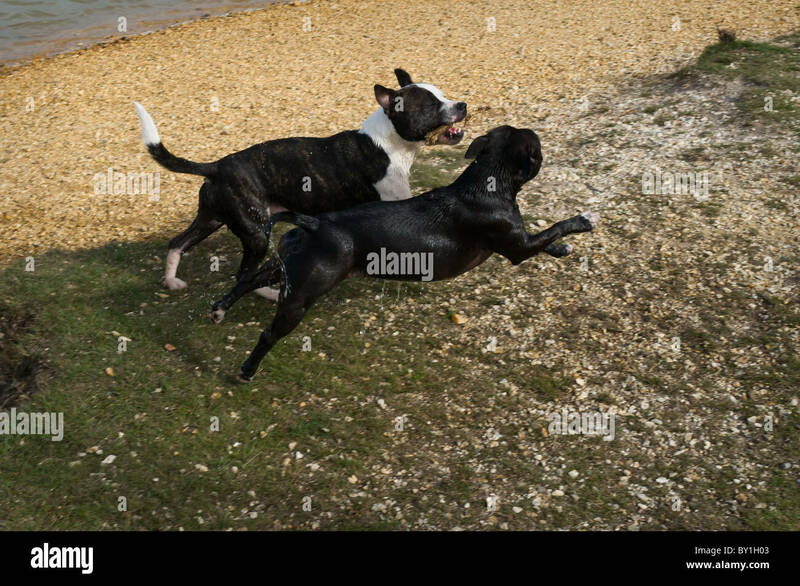 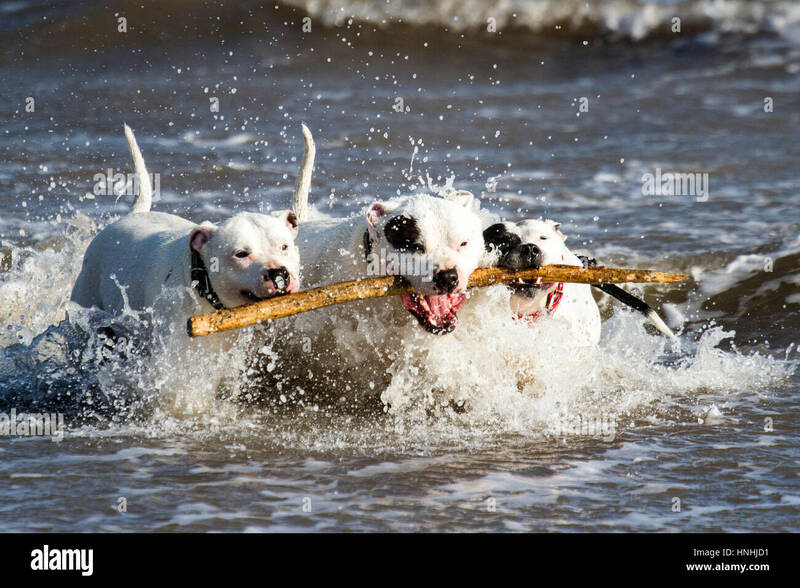 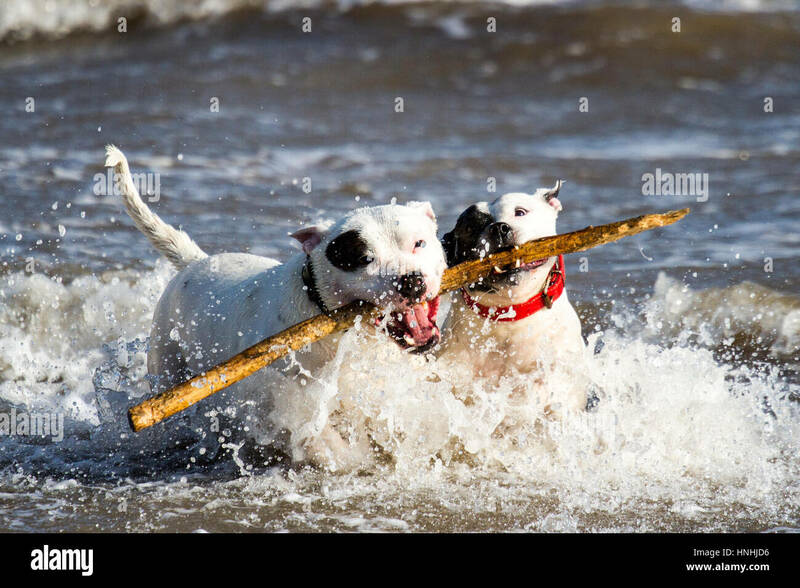 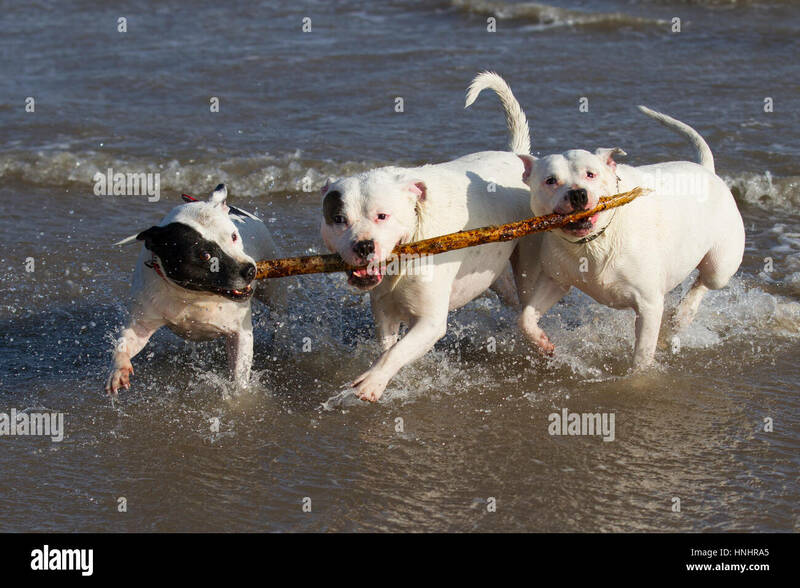 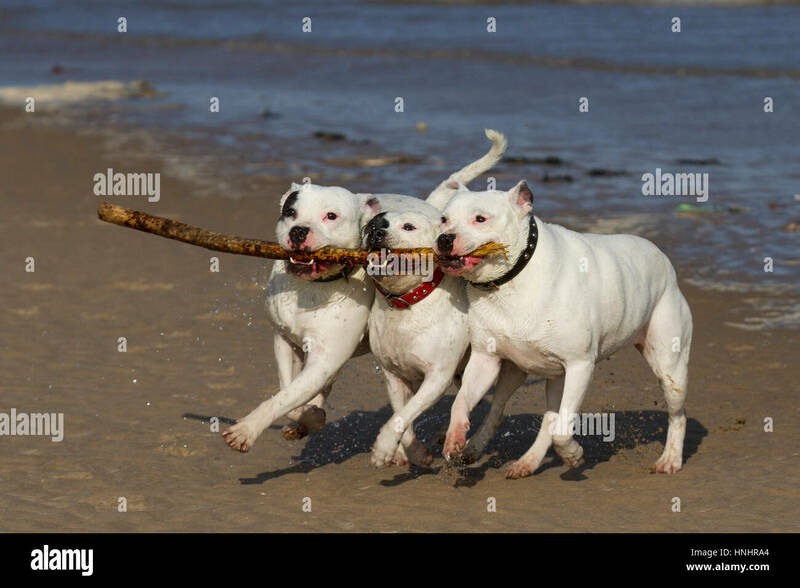 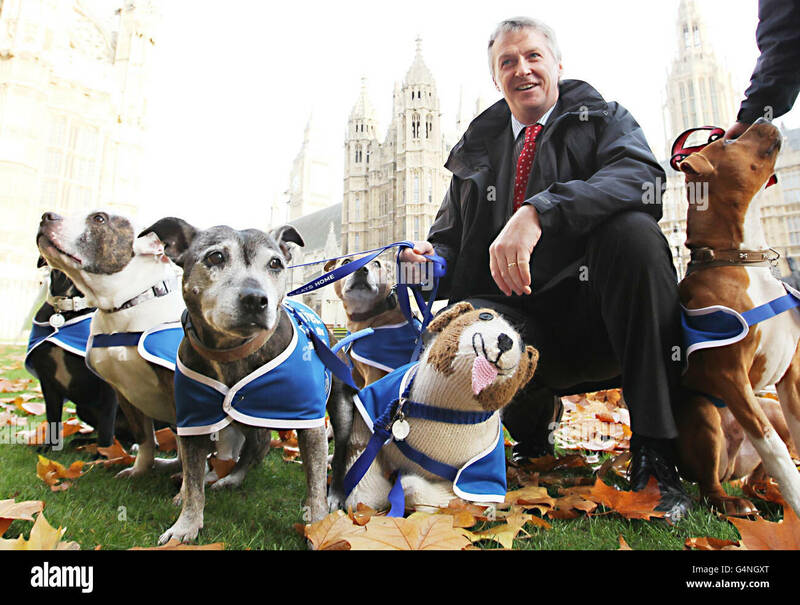 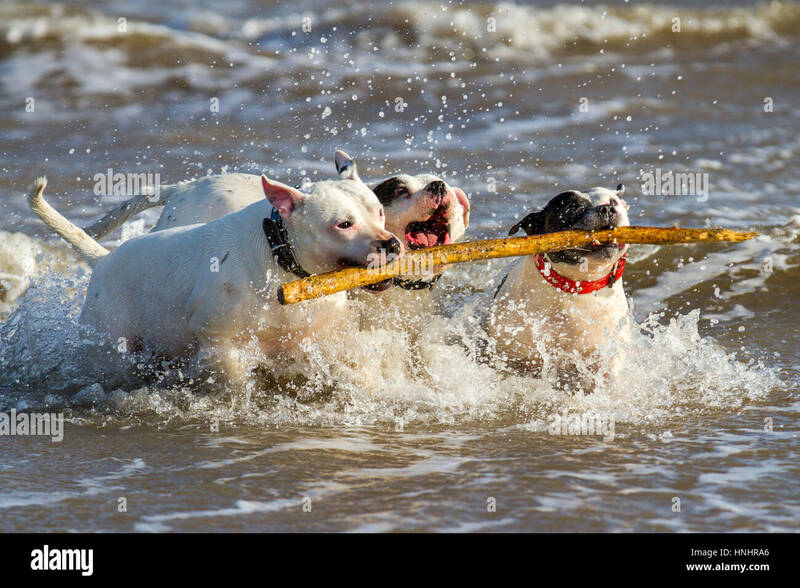 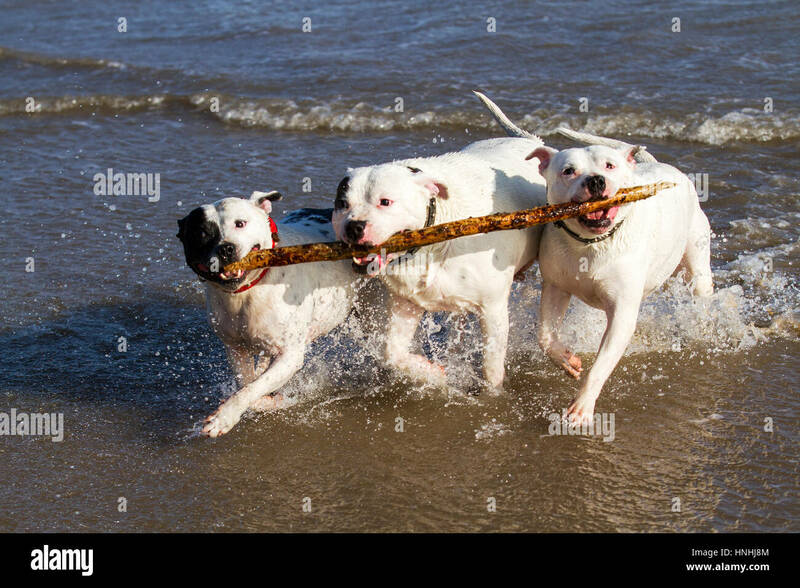 Aged 5, 7 & 9, they work as a team to retrieve their favourite toy from the cold surf on the Wirral peninsula. 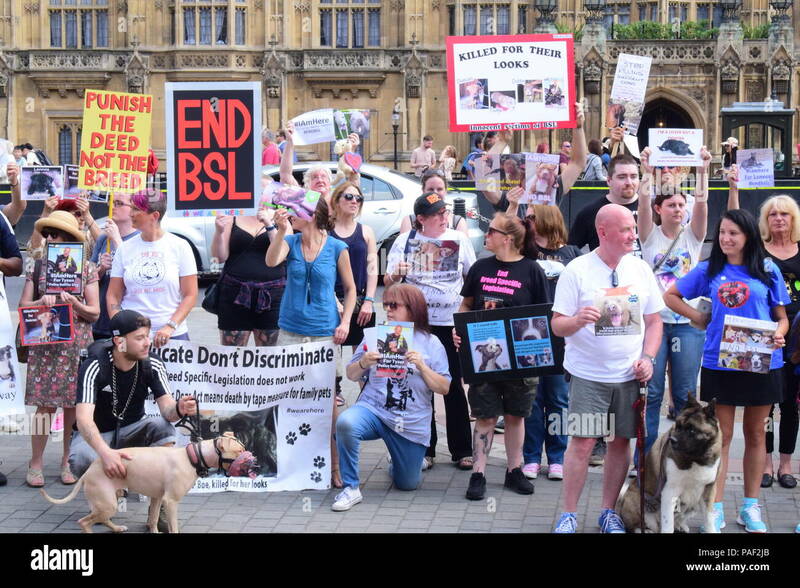 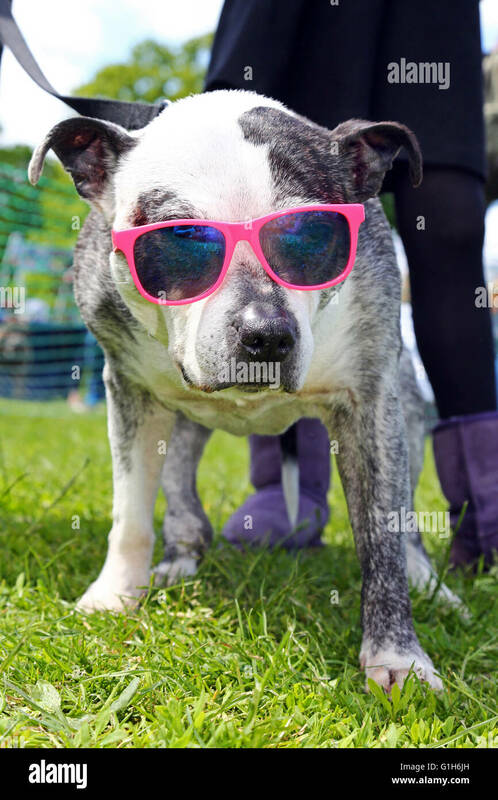 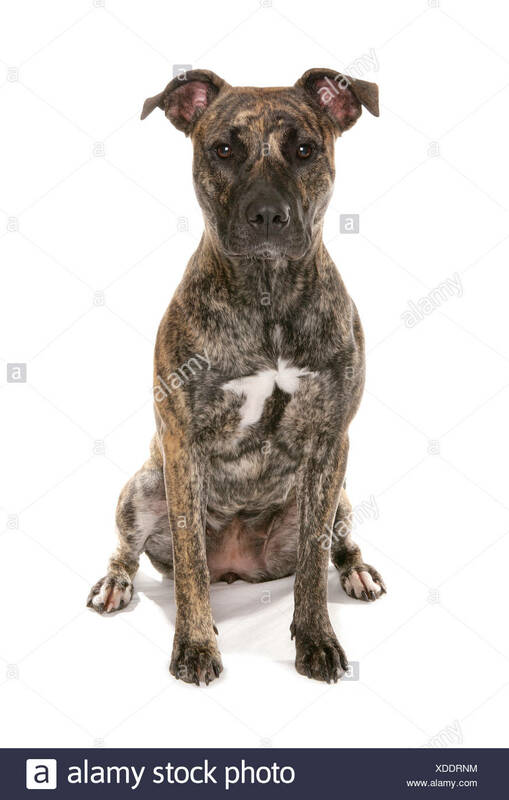 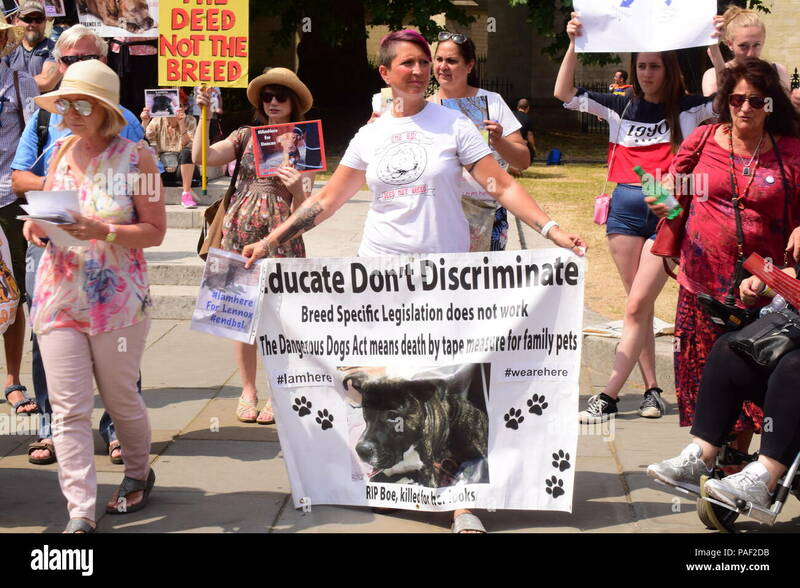 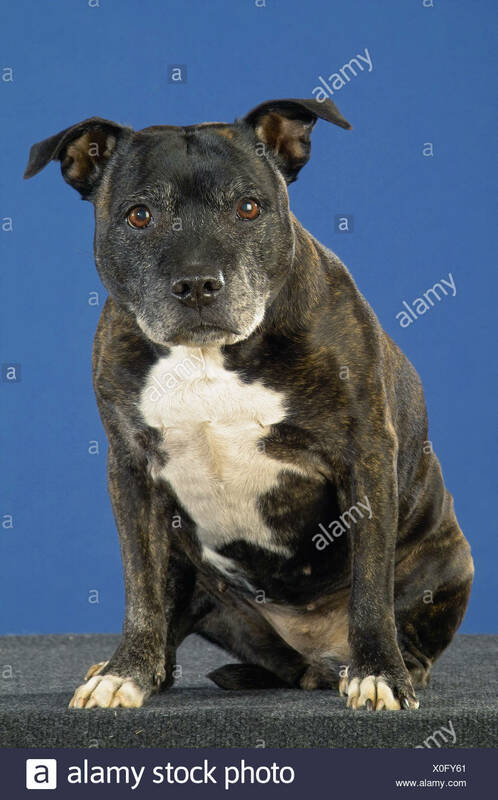 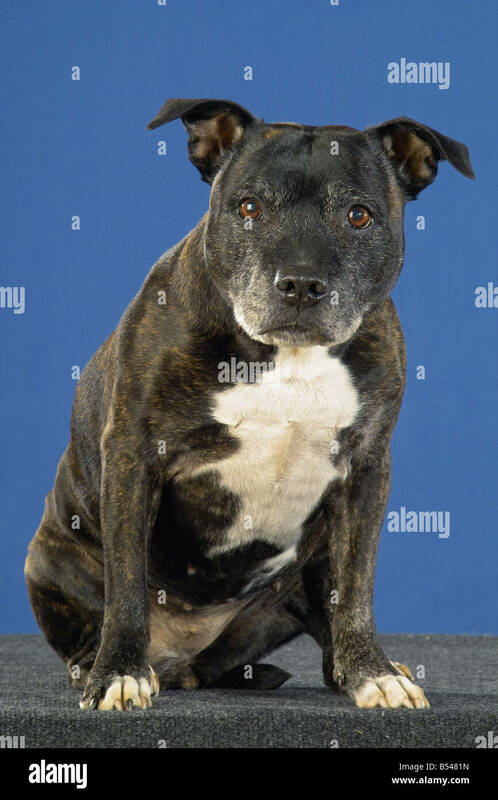 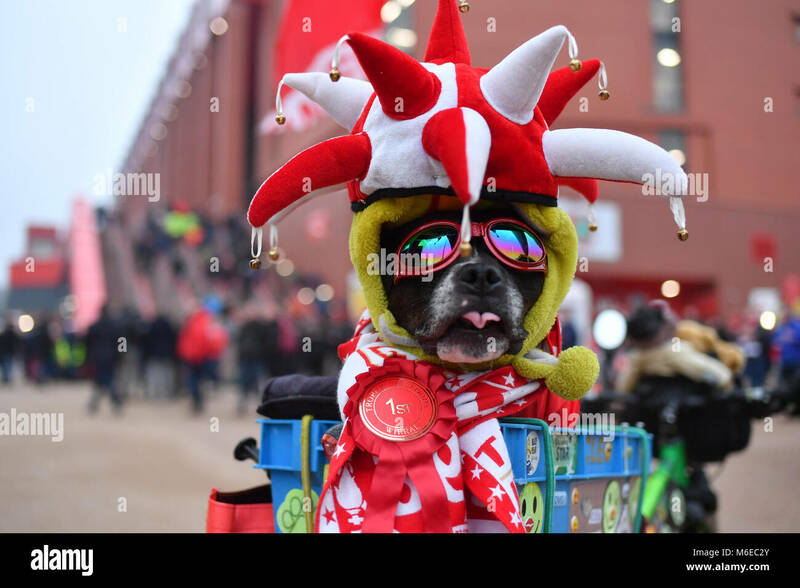 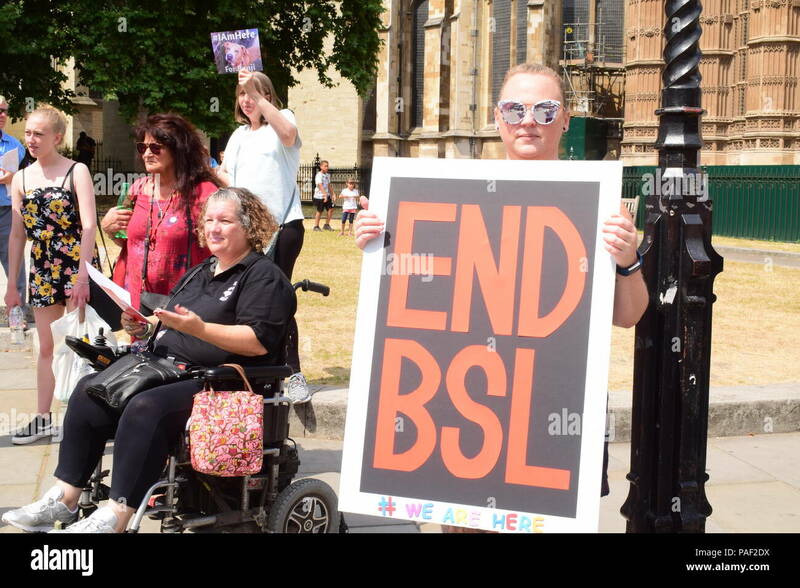 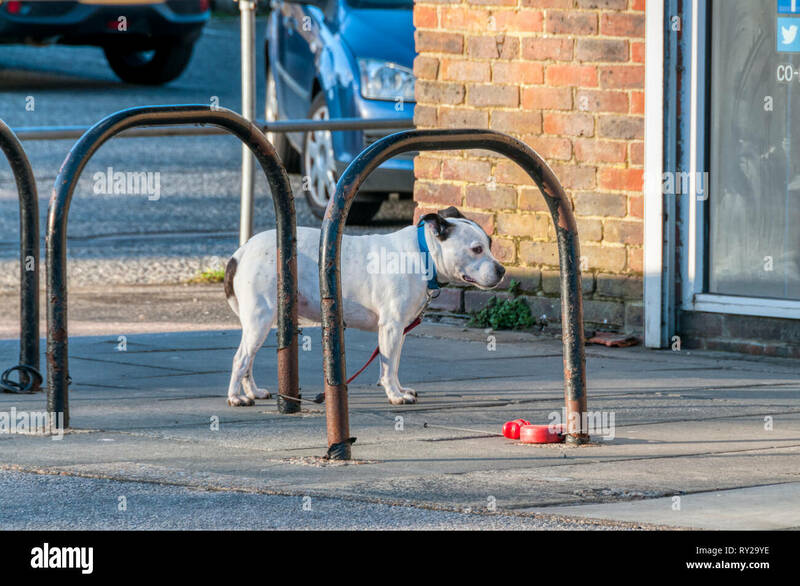 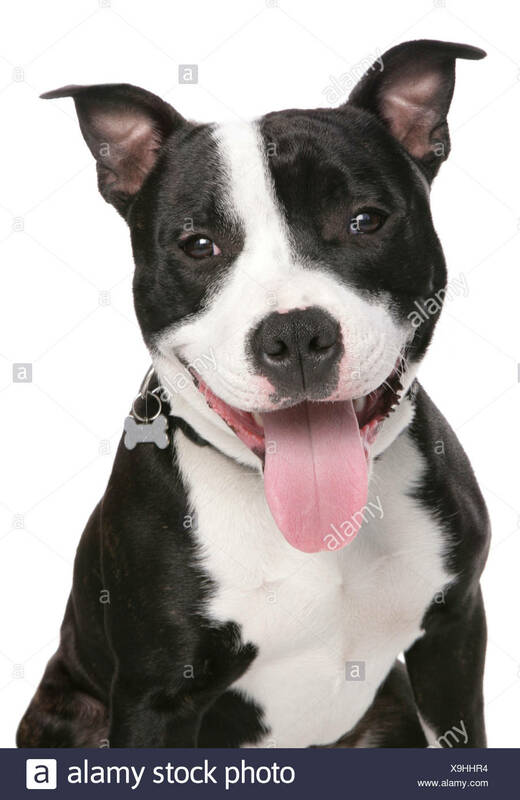 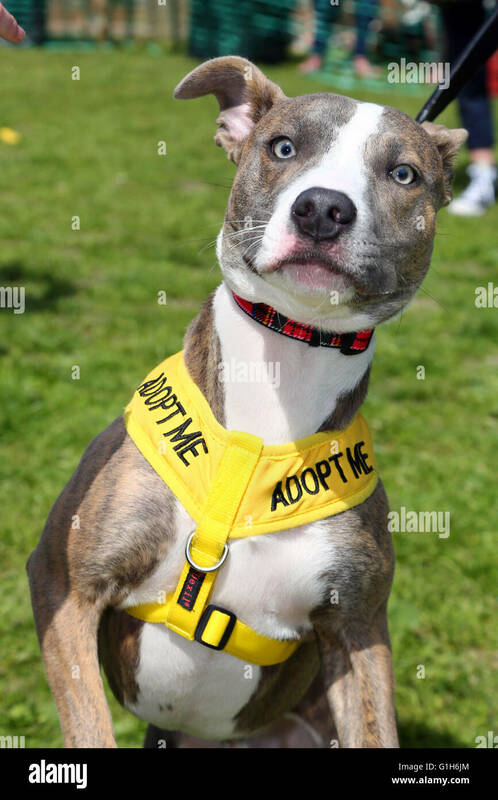 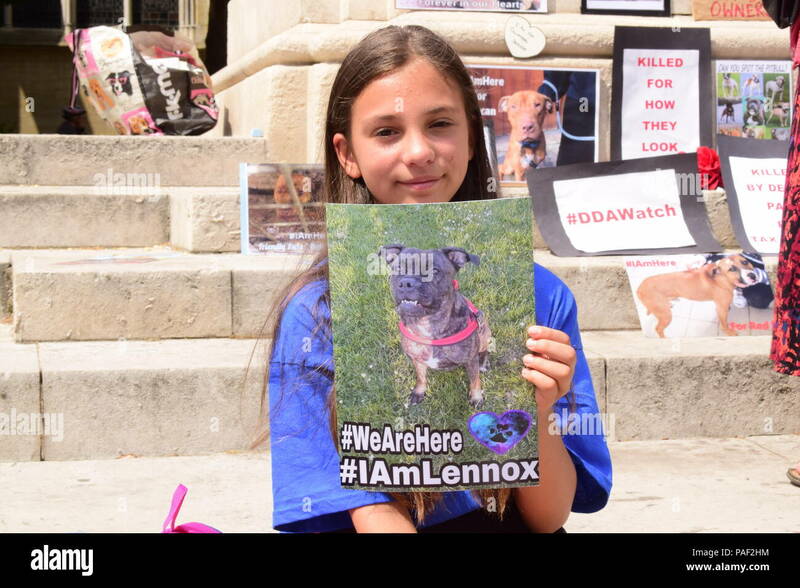 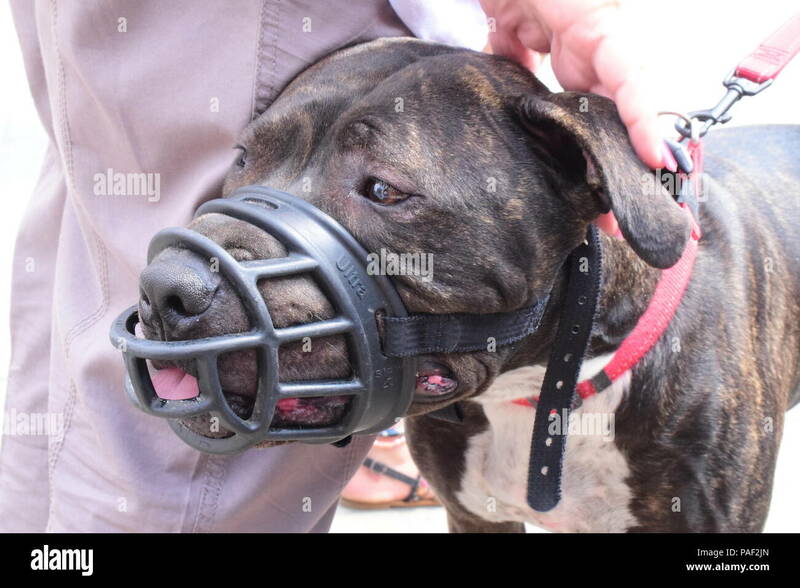 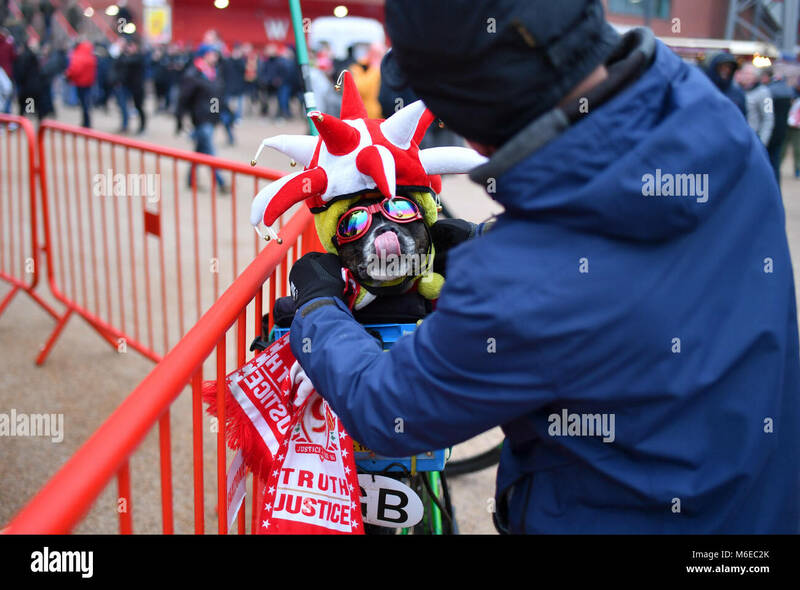 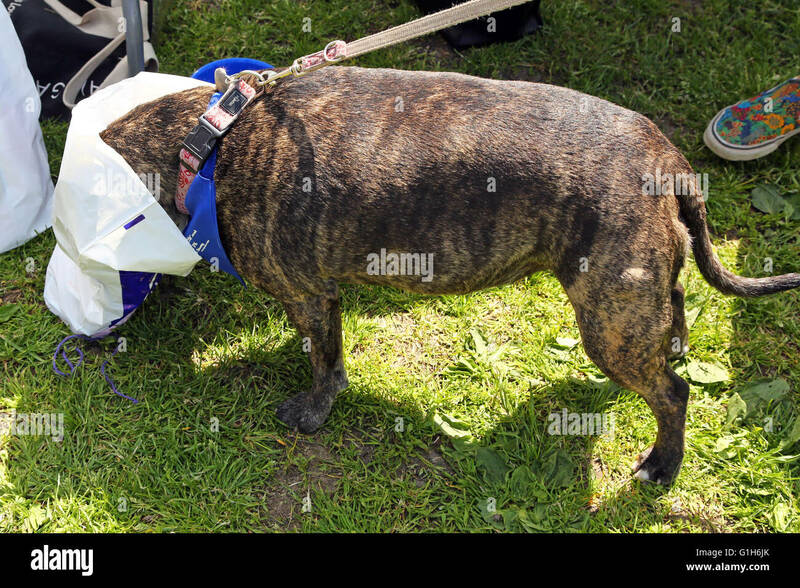 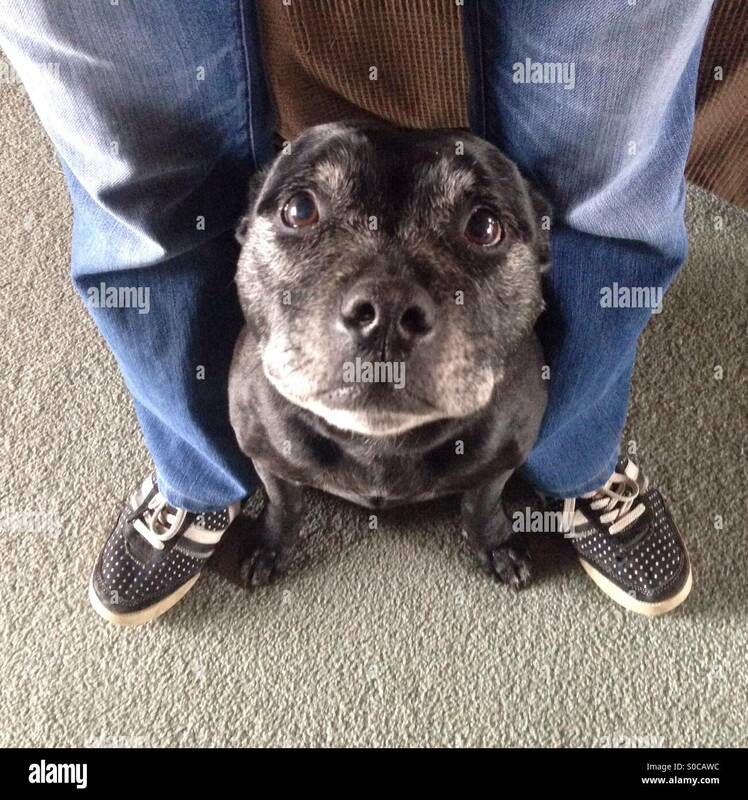 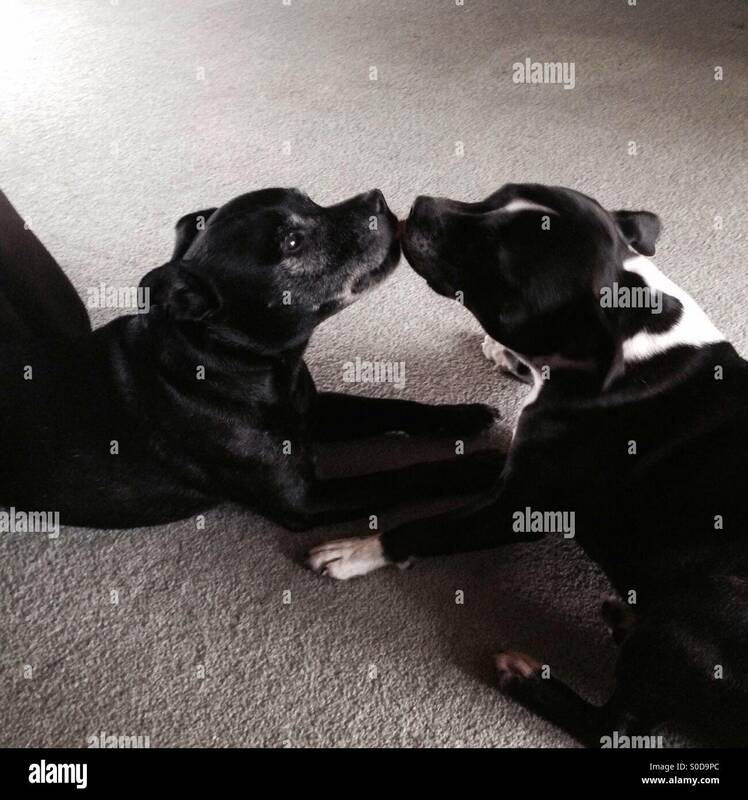 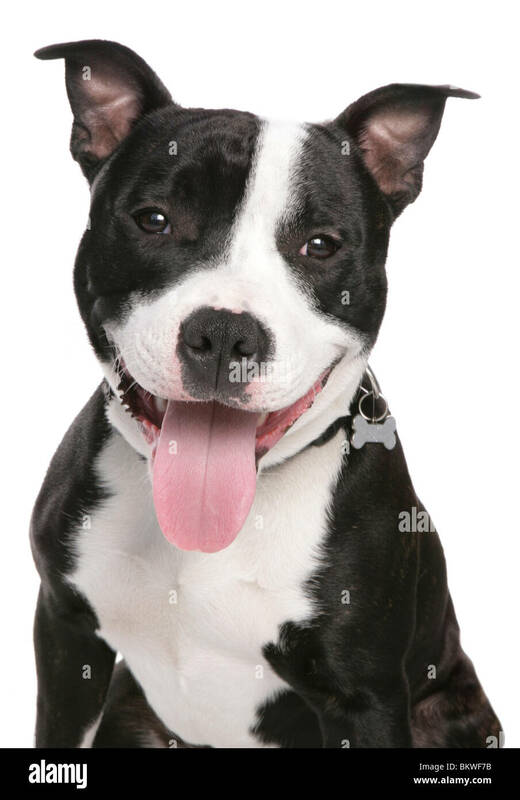 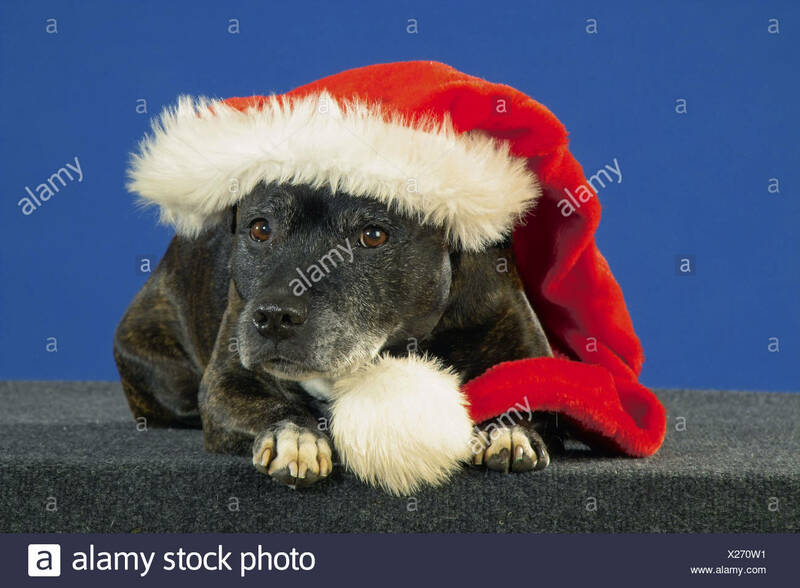 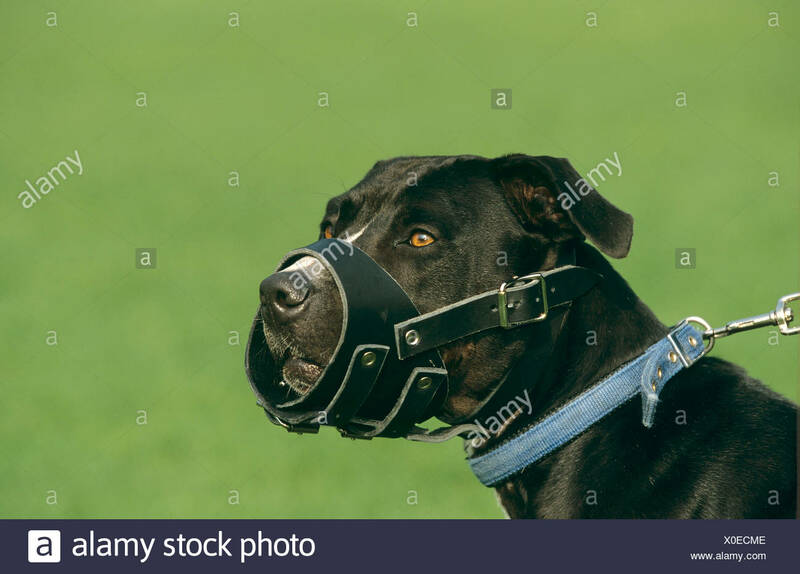 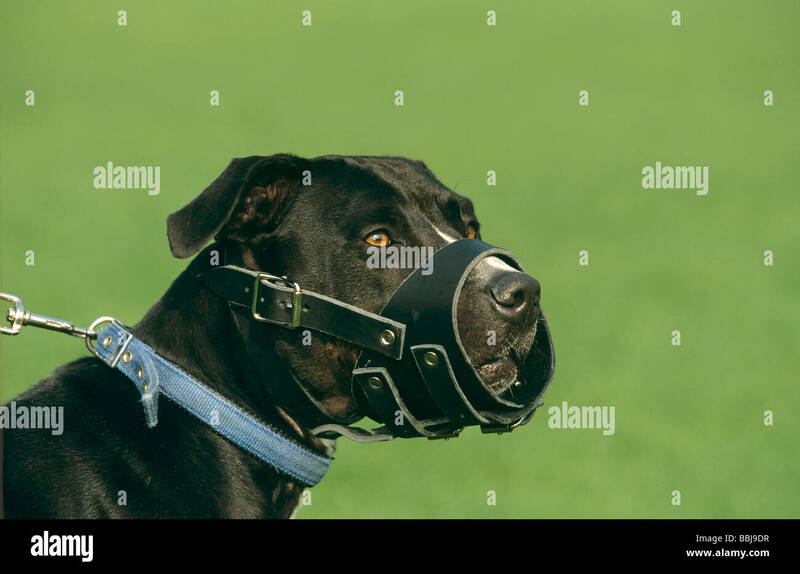 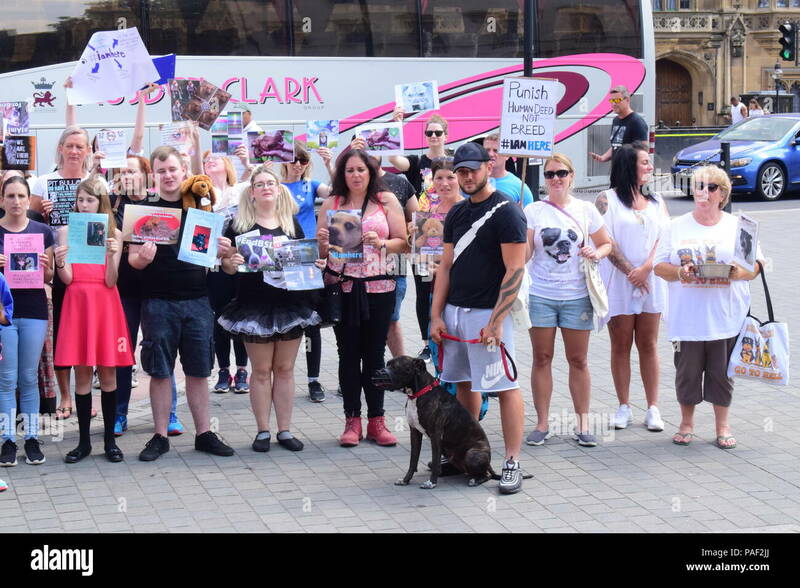 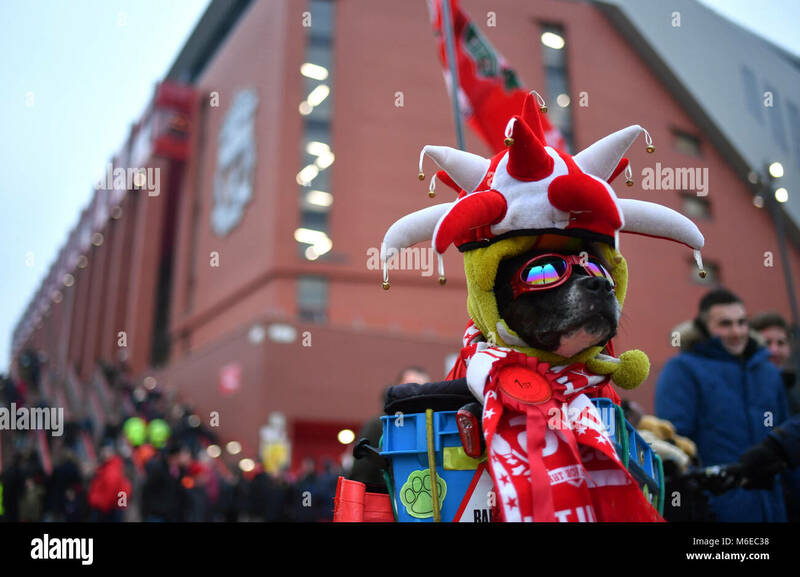 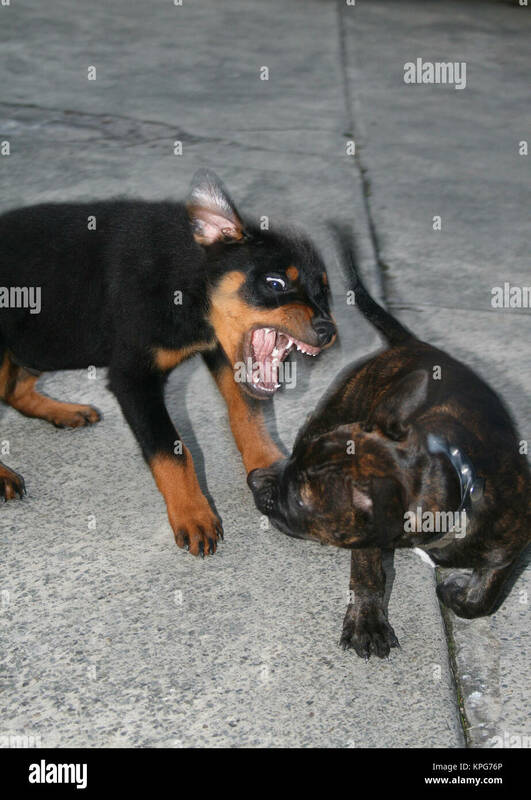 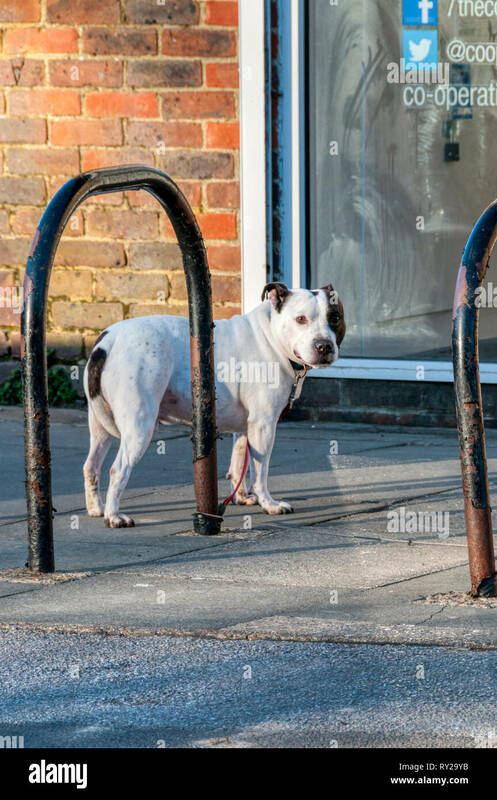 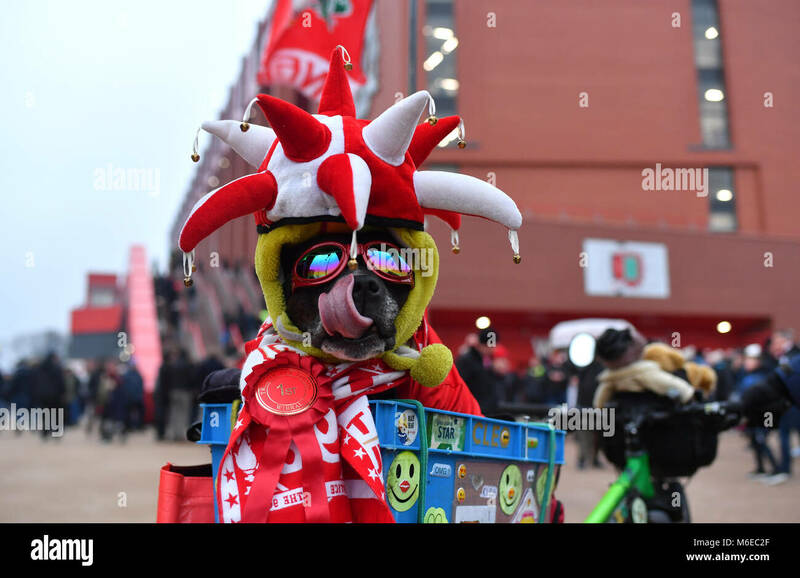 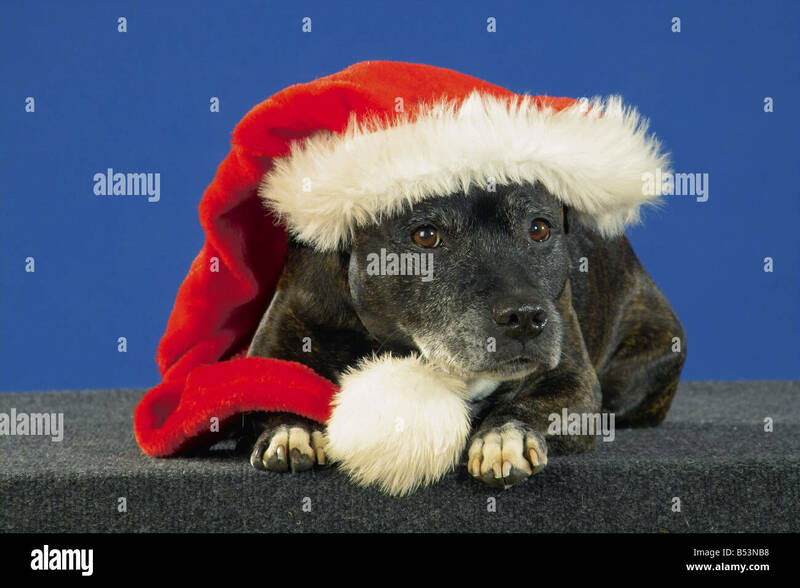 Princess Cleo, a Staffordshire Bull Terrier, representing the charity Justice For Staffies, during the Premier League match at Anfield, Liverpool. 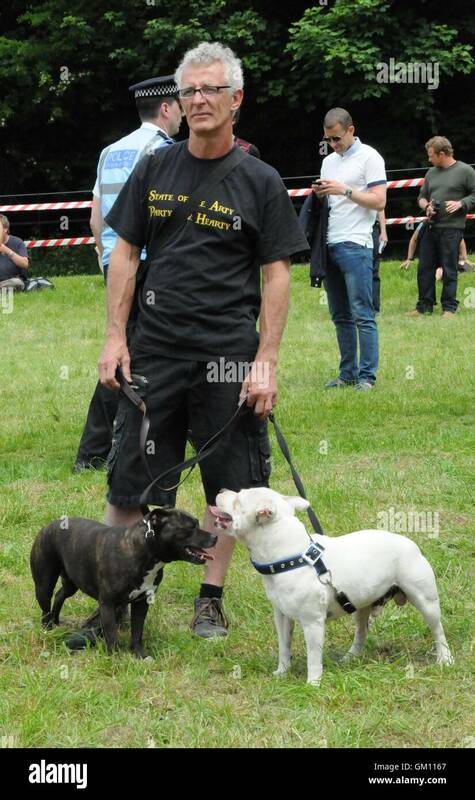 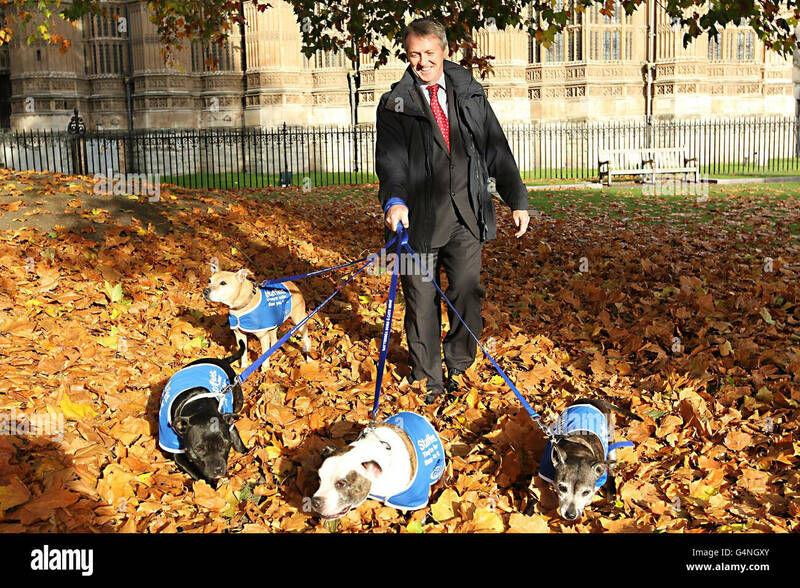 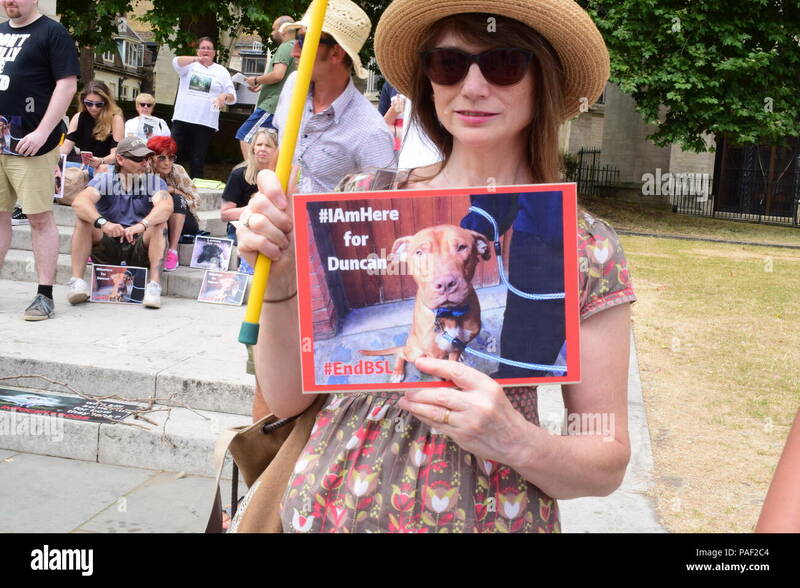 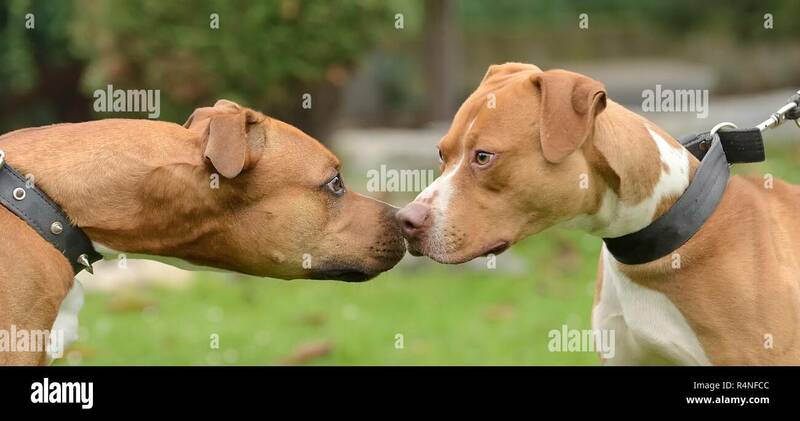 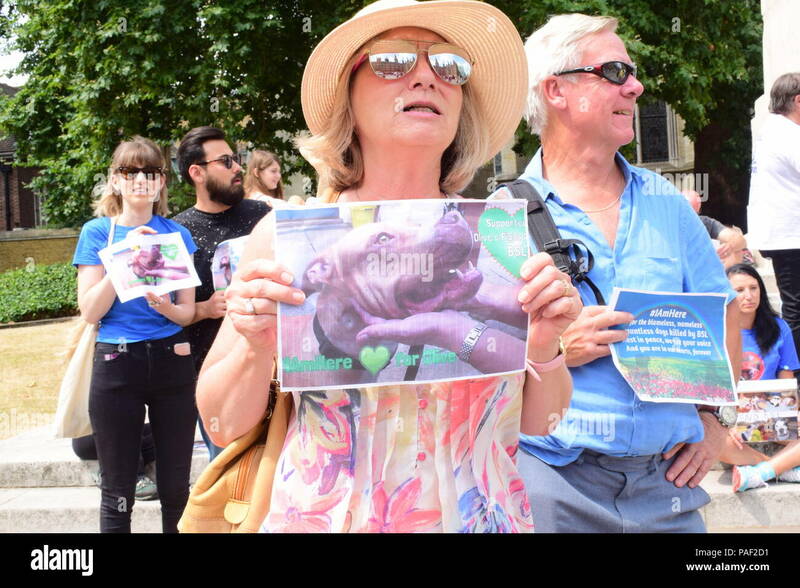 The Duchess of Sussex meets Wully Struthers and his staffies Azzy and Gallis during a visit to Mayhew, an animal welfare charity she is now supporting as patron, at its offices in north-west London. 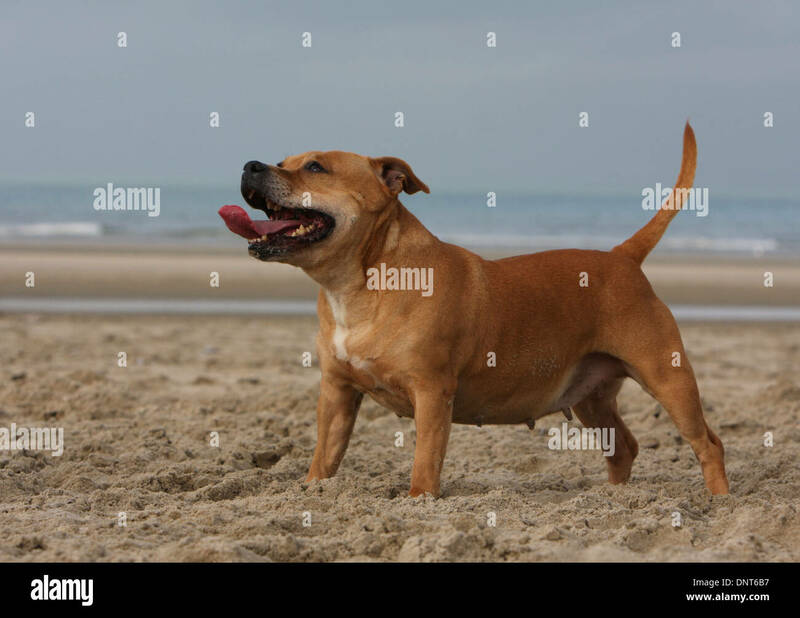 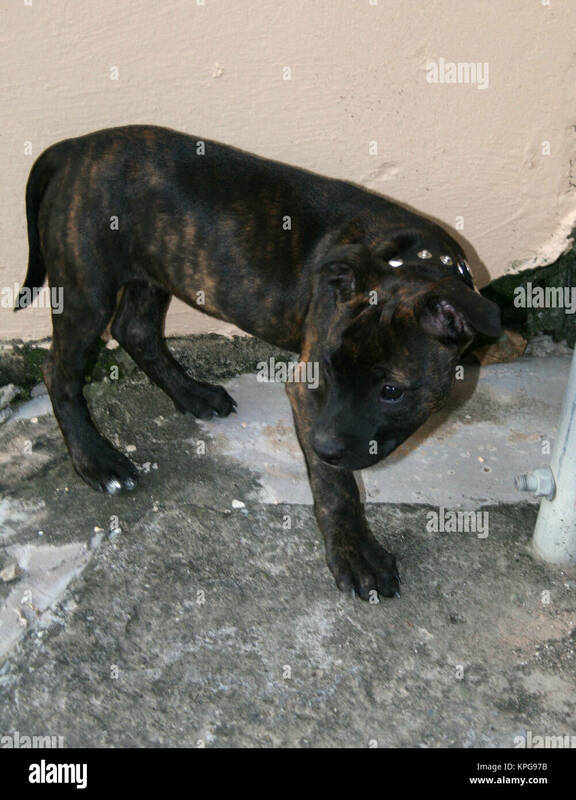 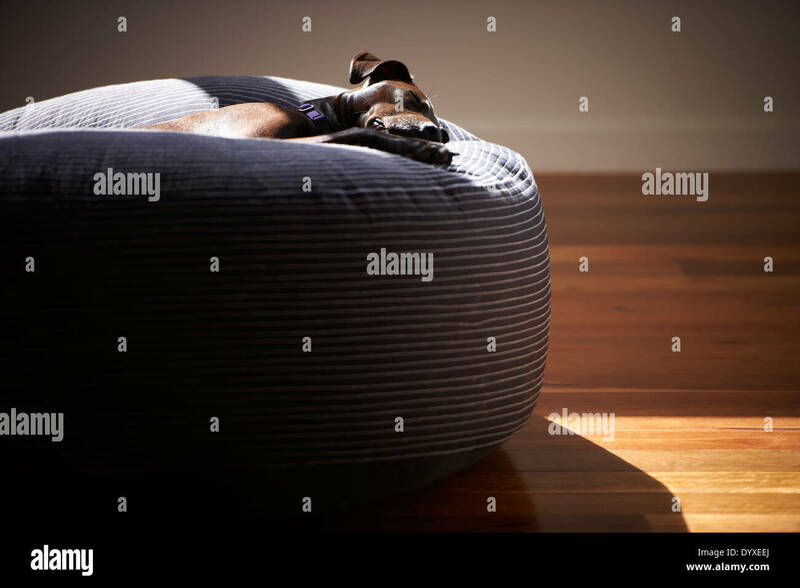 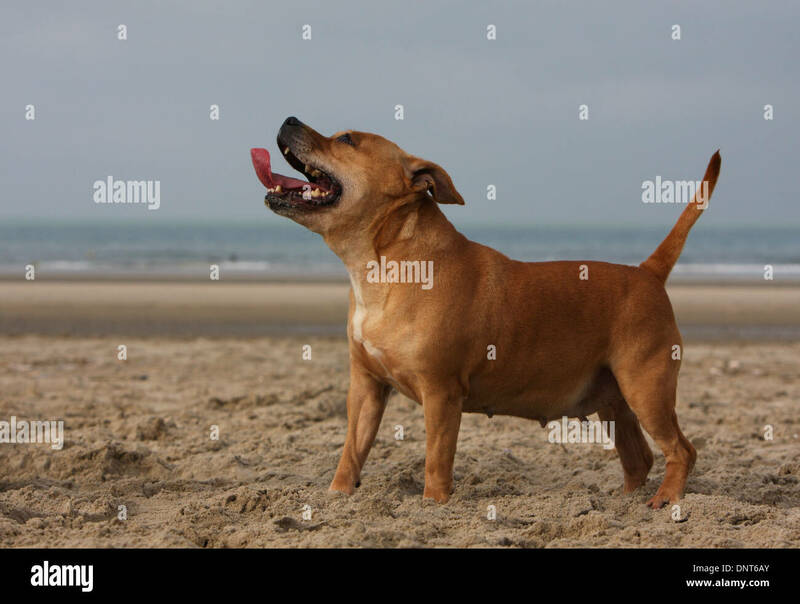 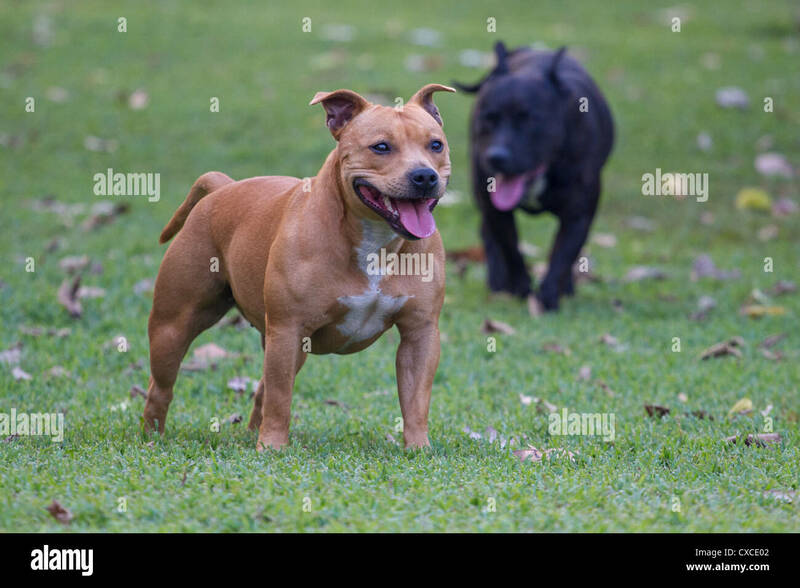 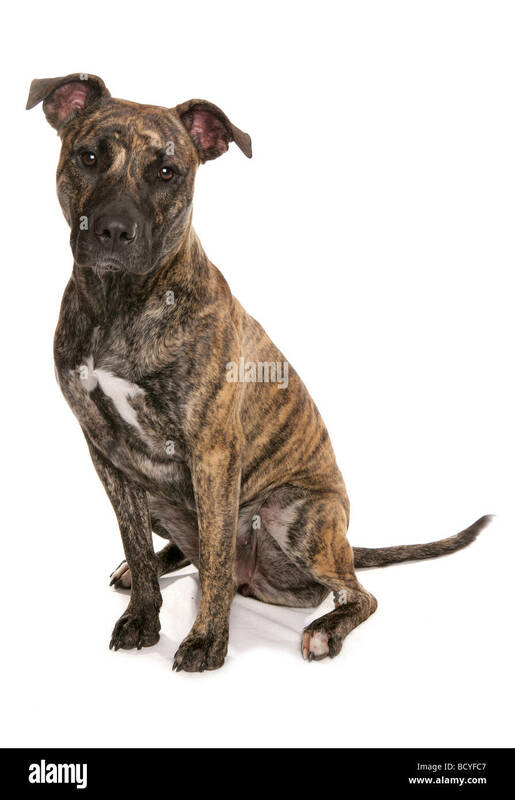 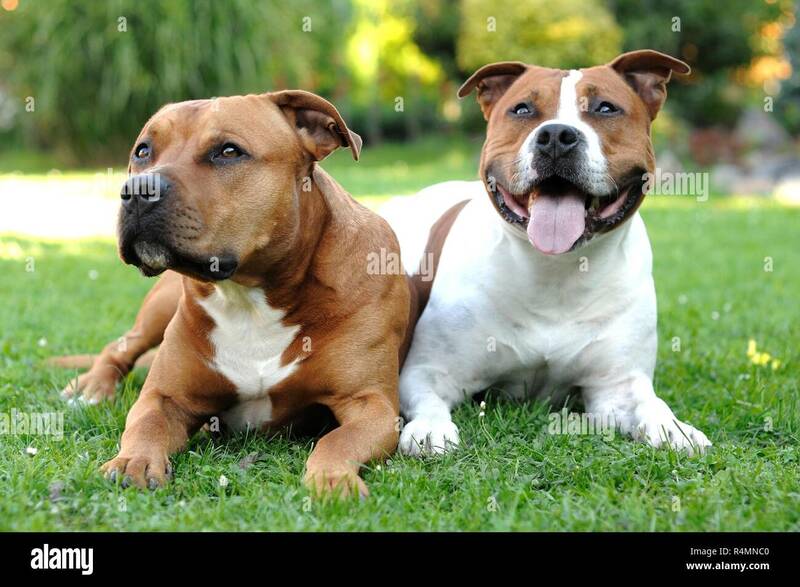 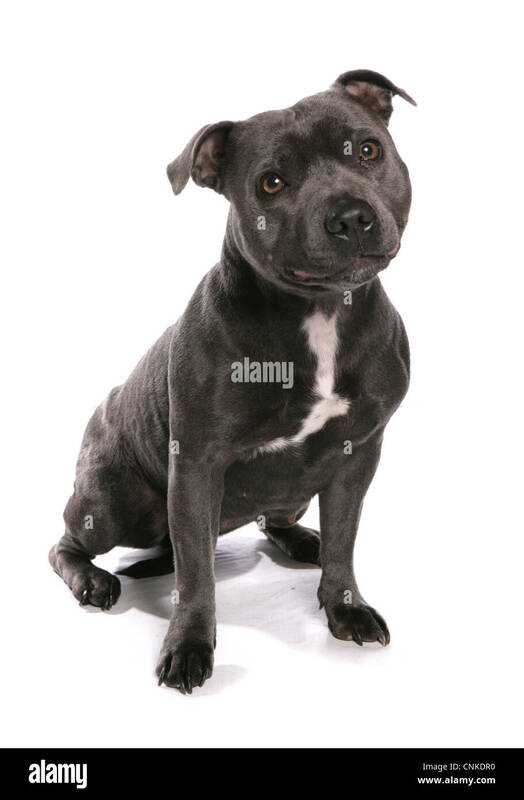 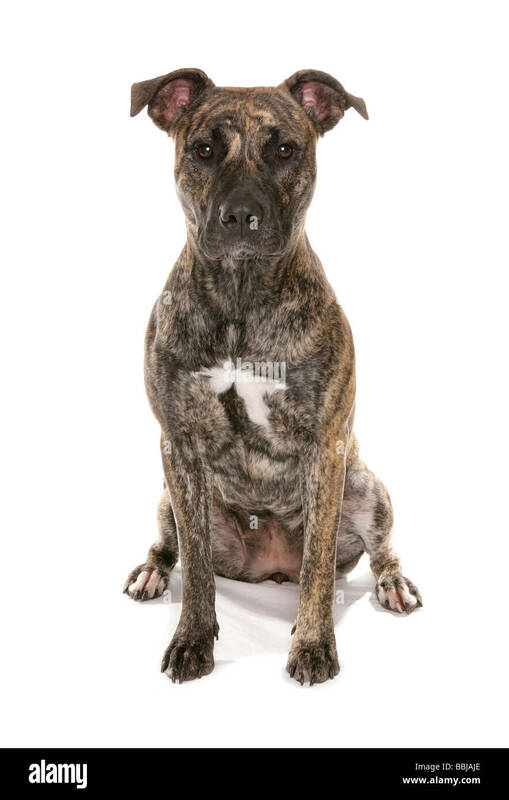 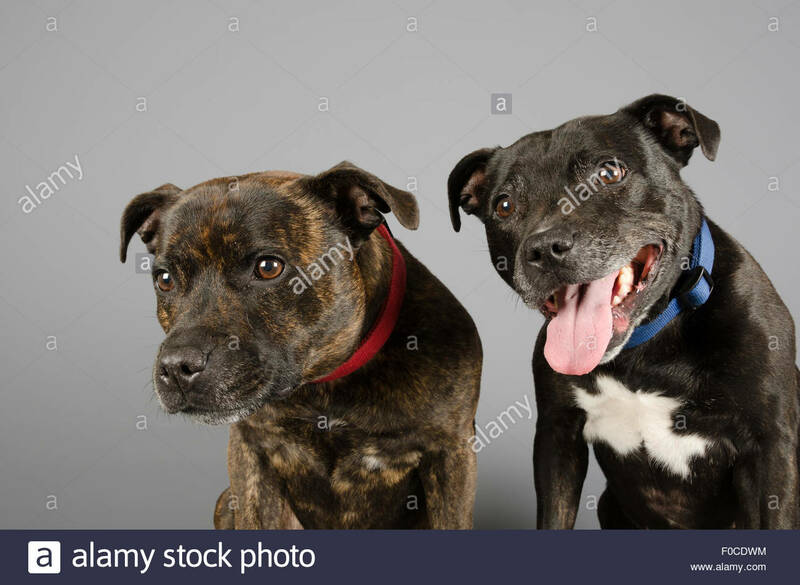 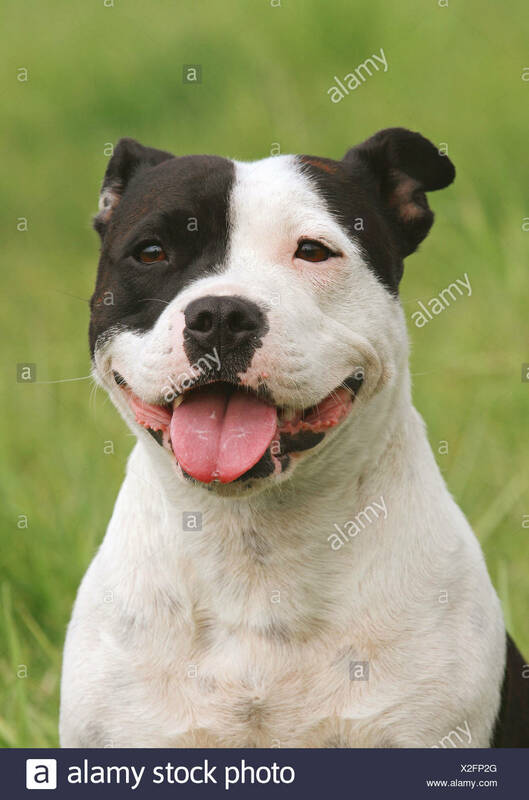 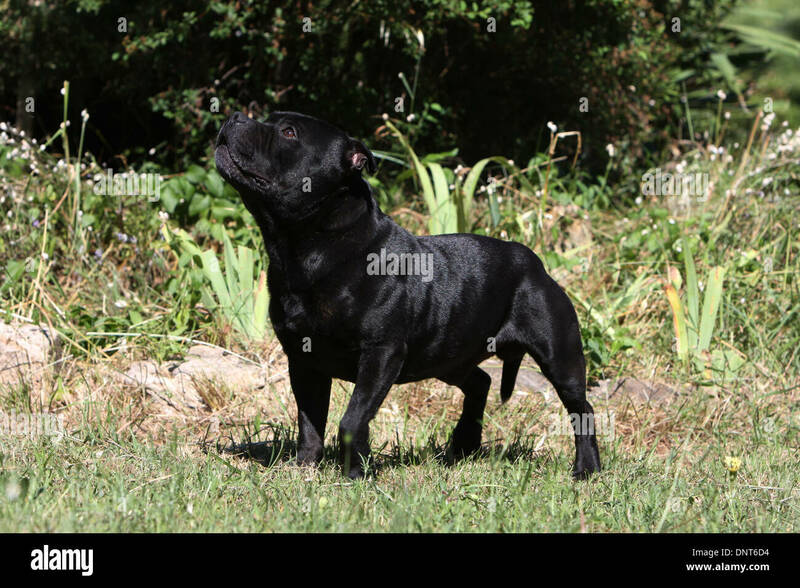 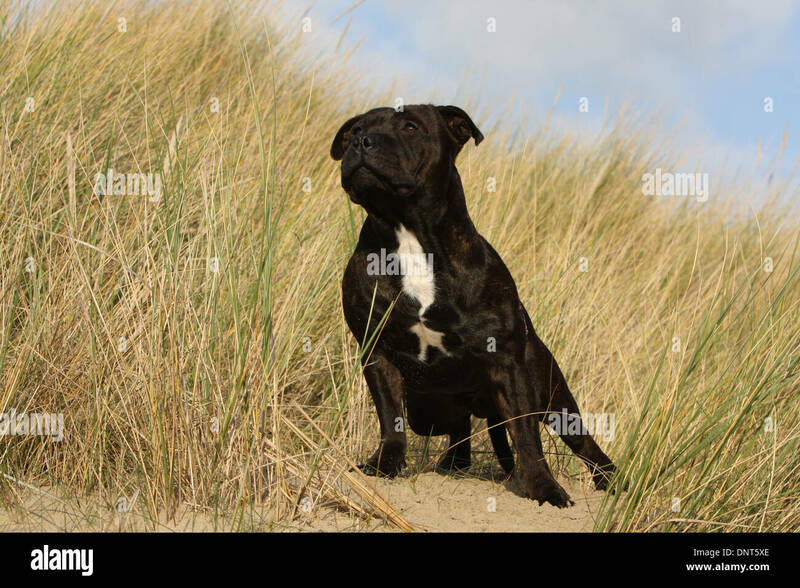 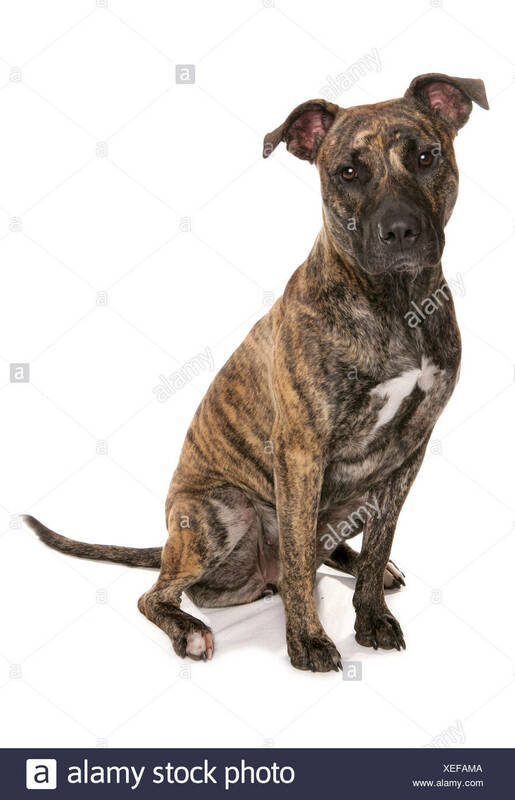 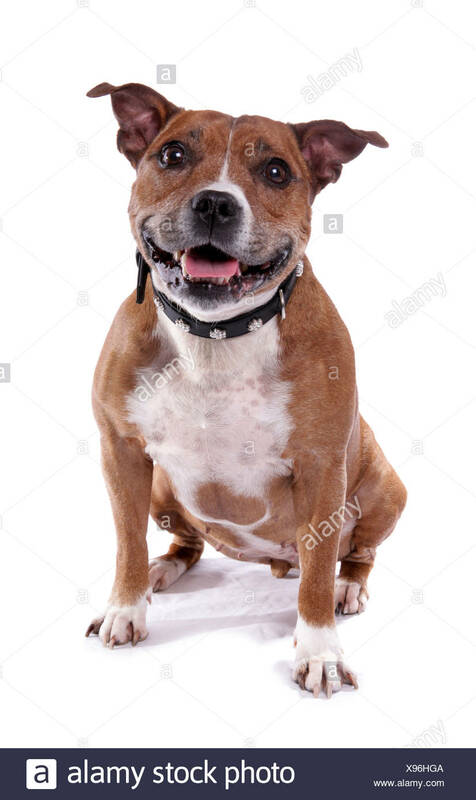 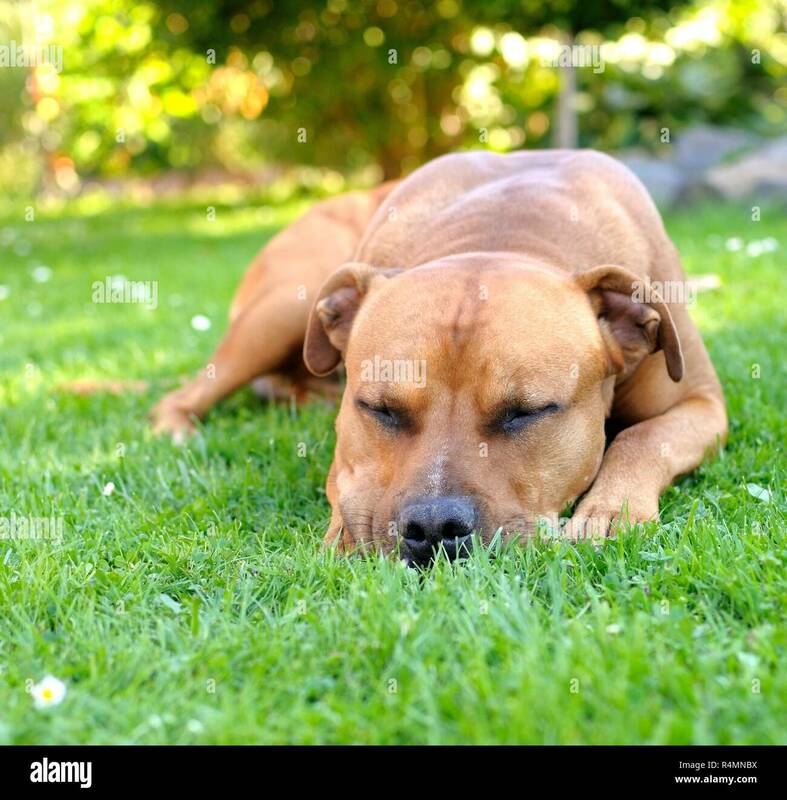 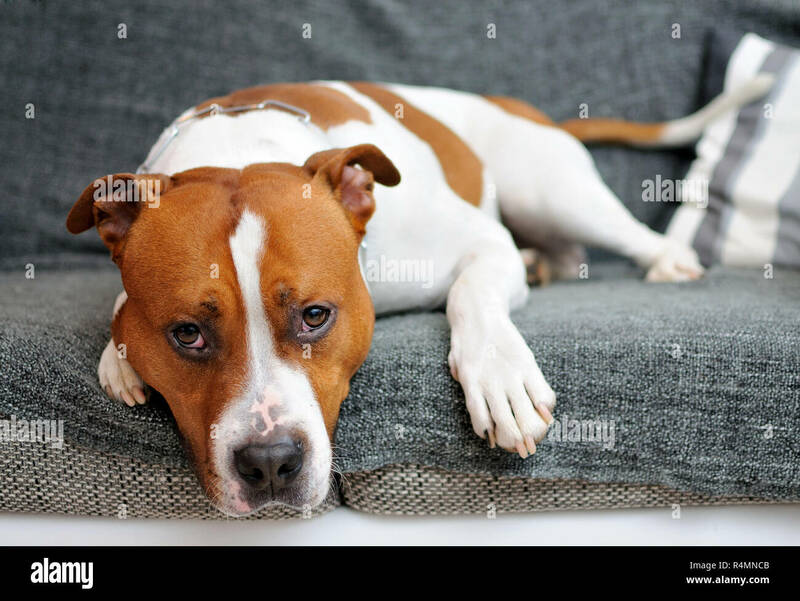 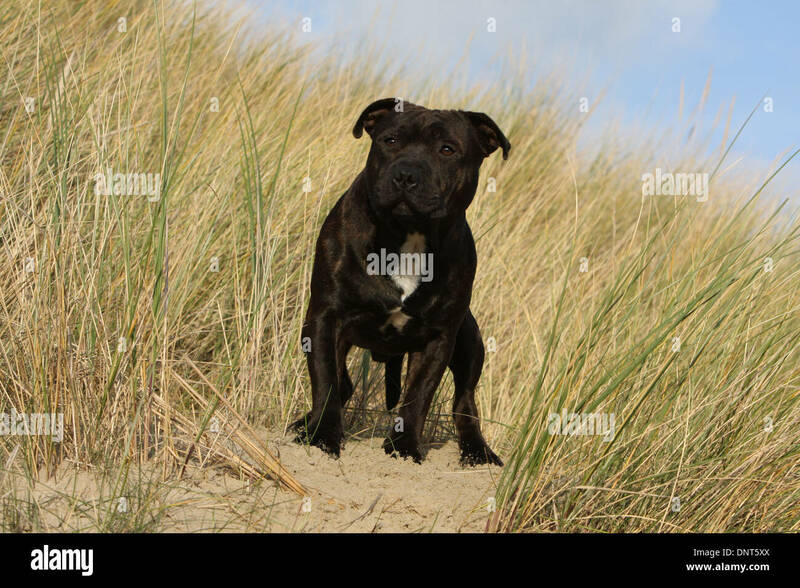 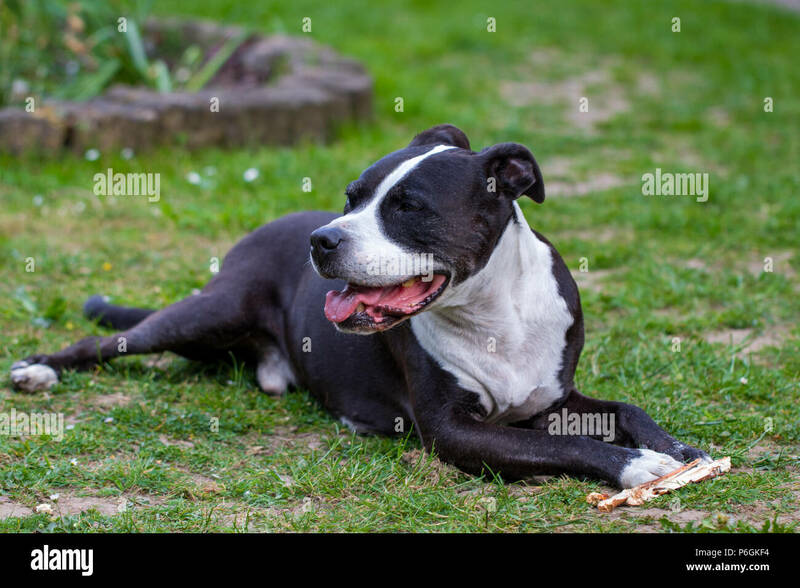 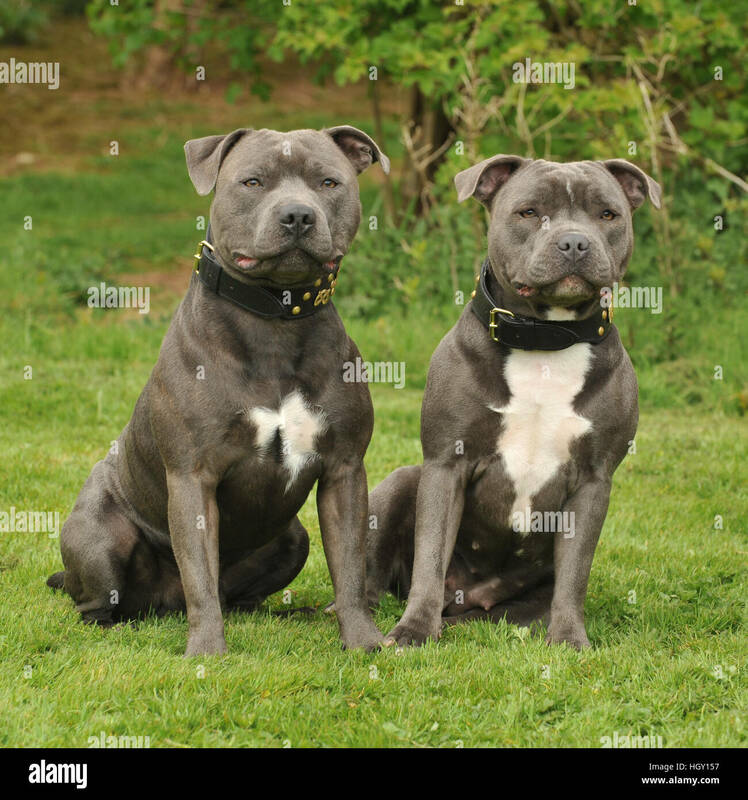 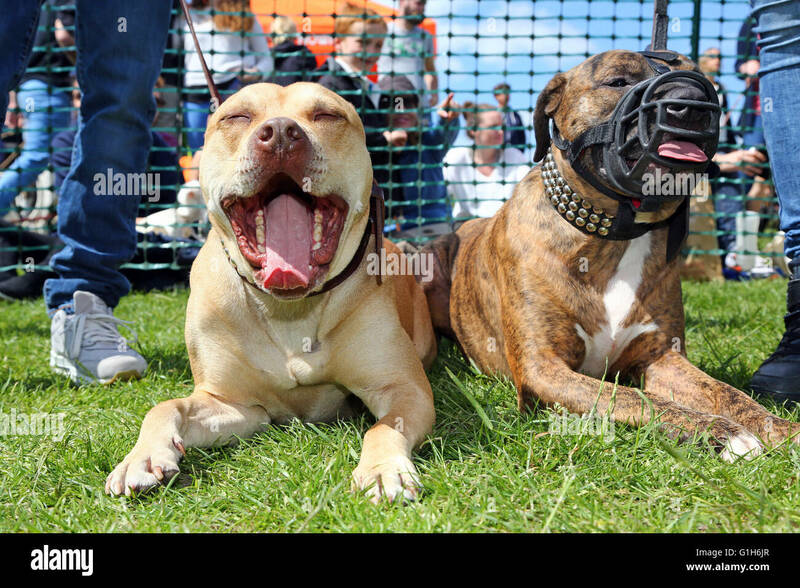 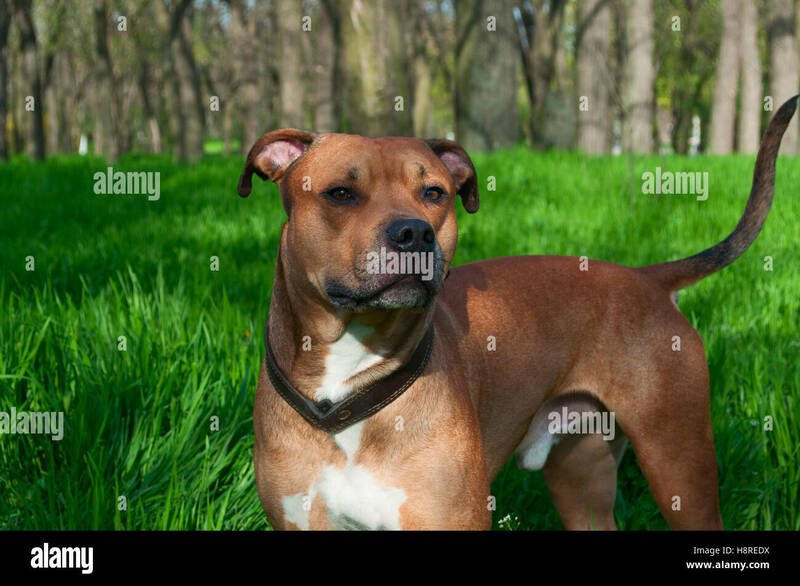 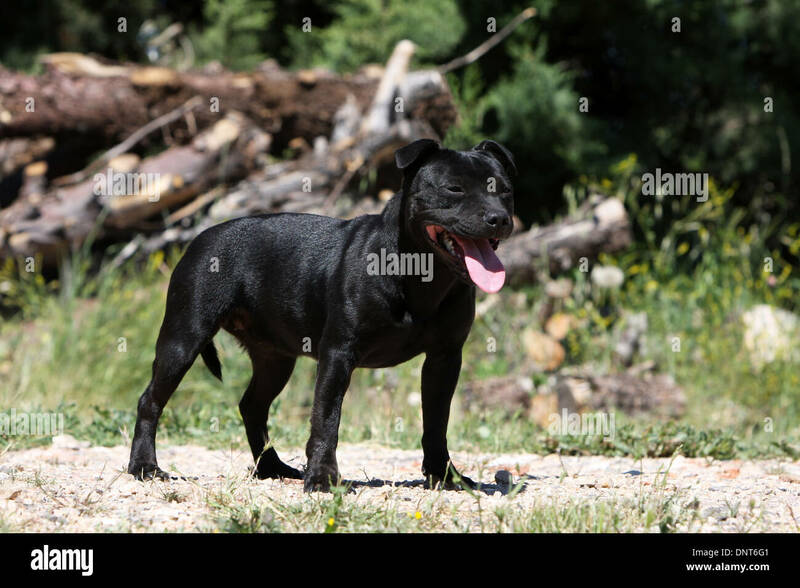 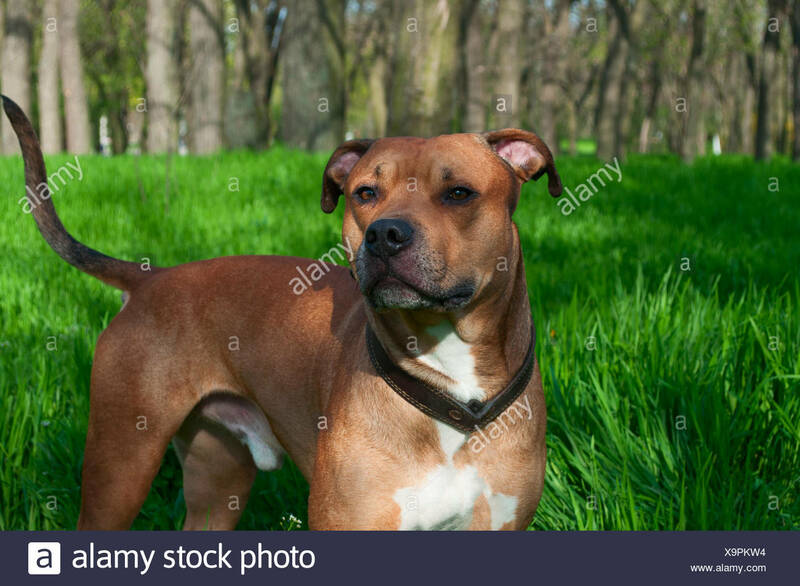 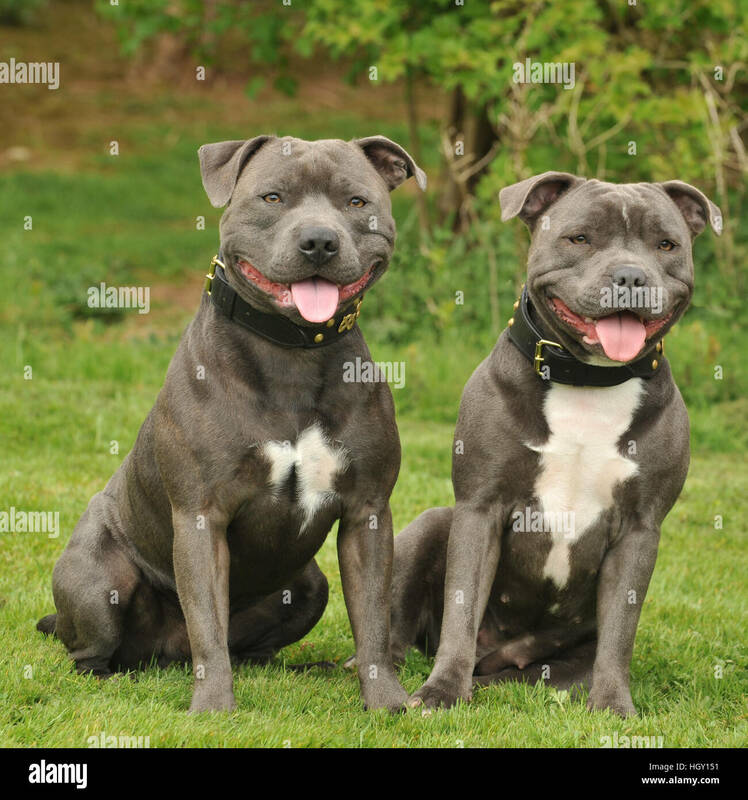 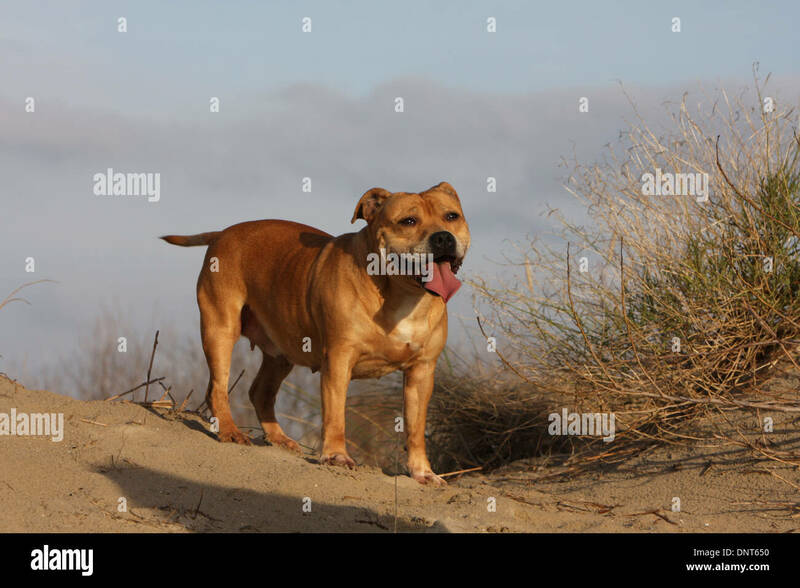 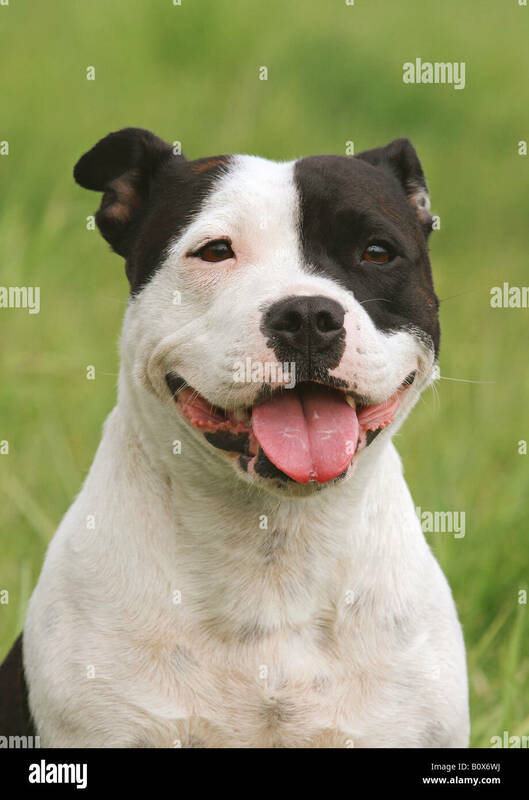 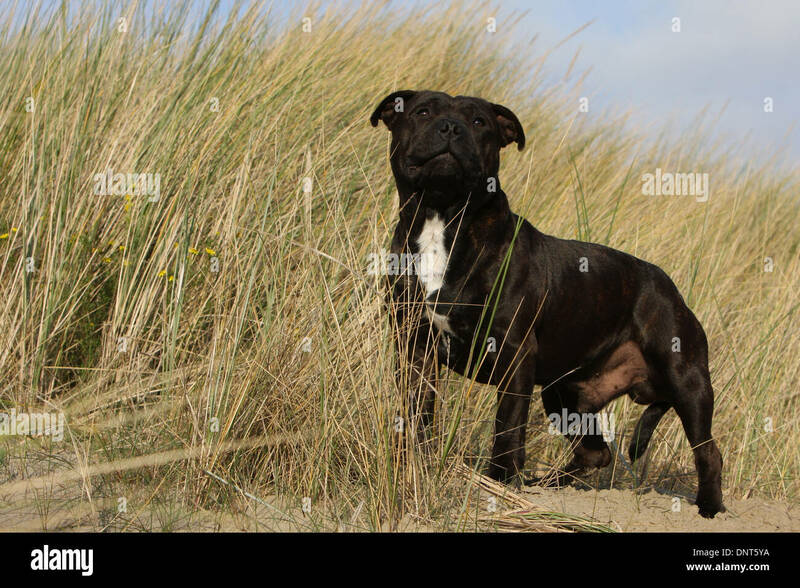 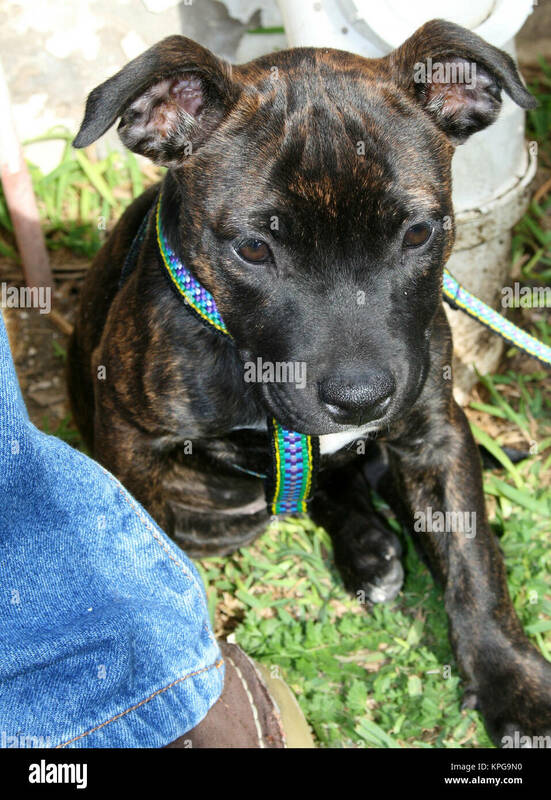 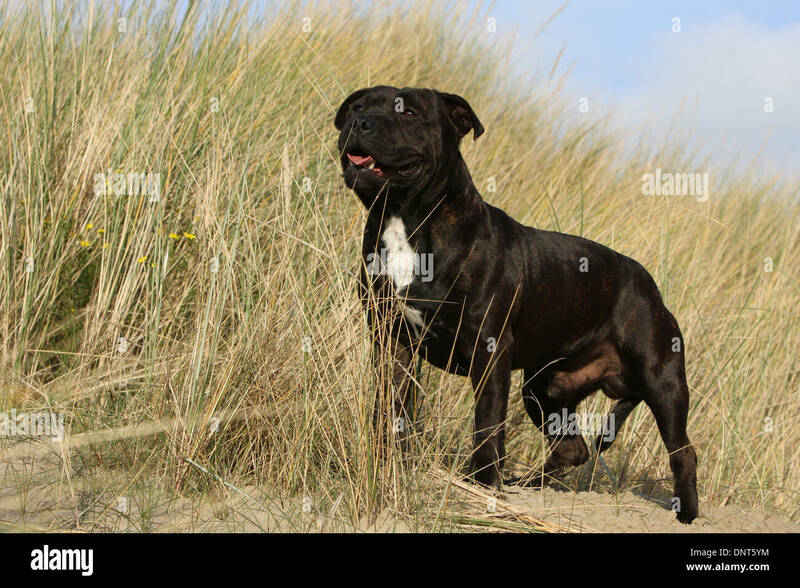 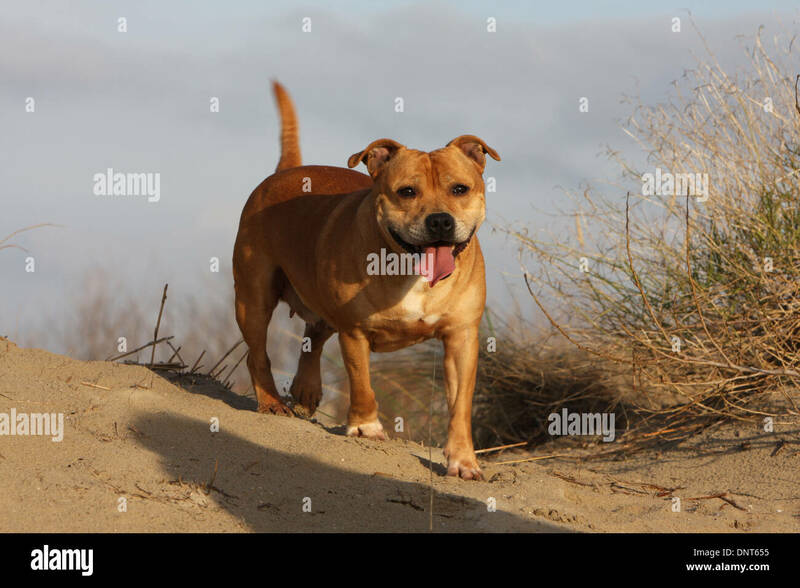 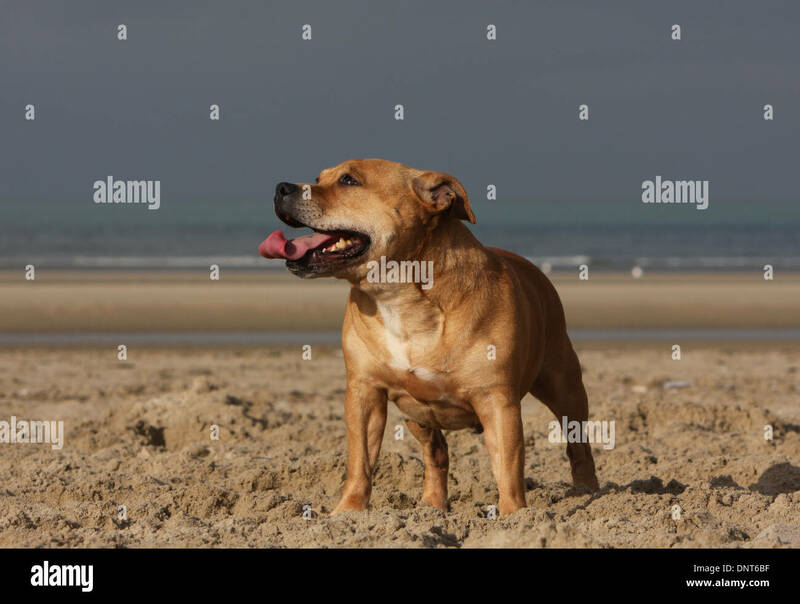 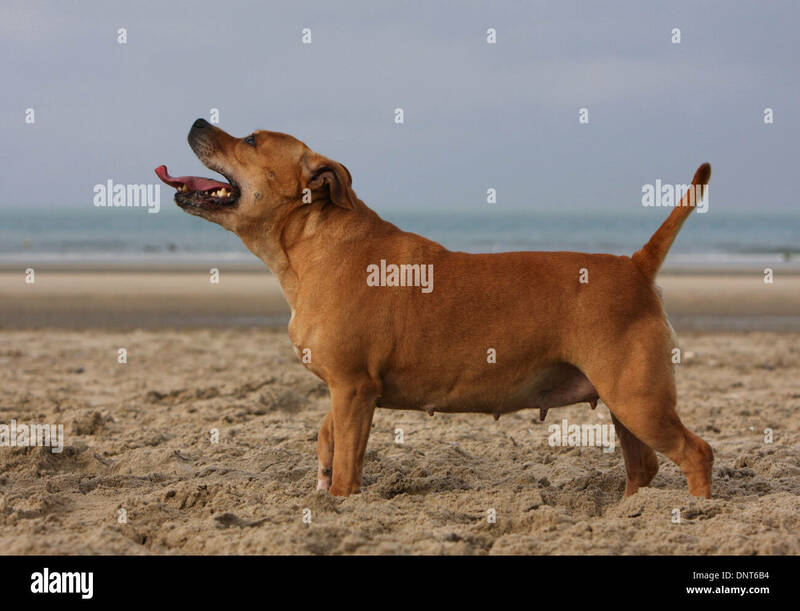 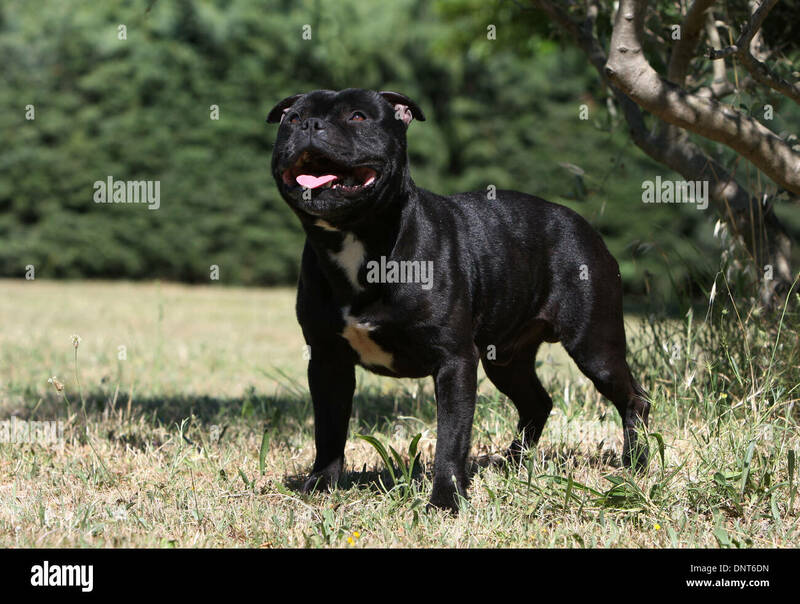 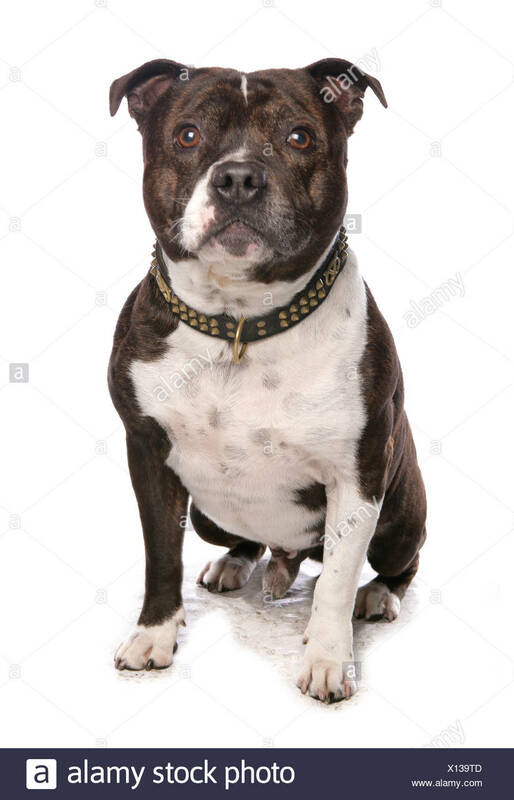 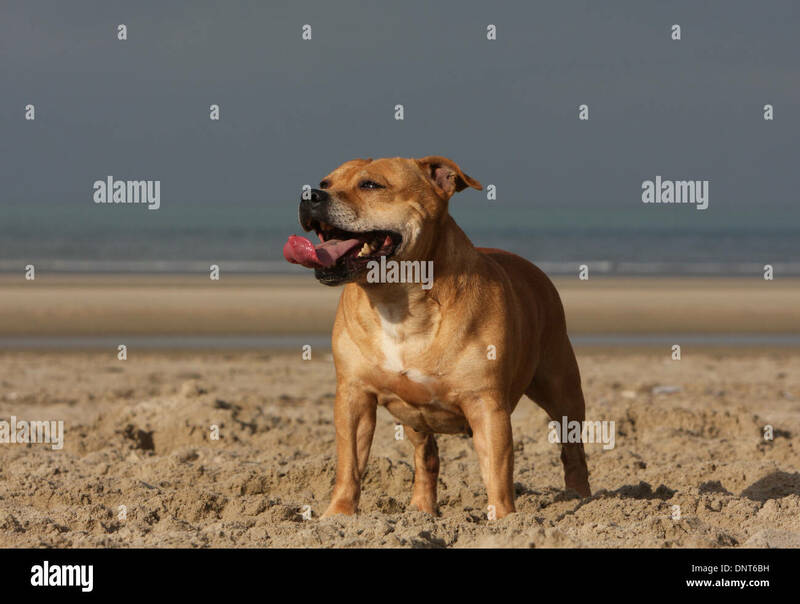 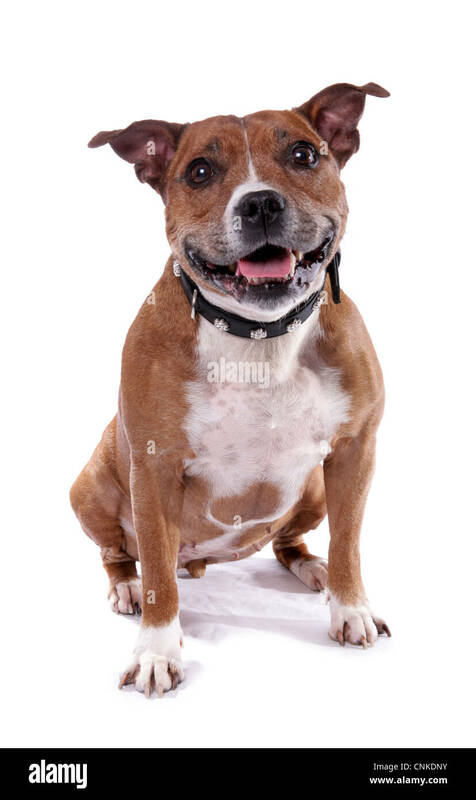 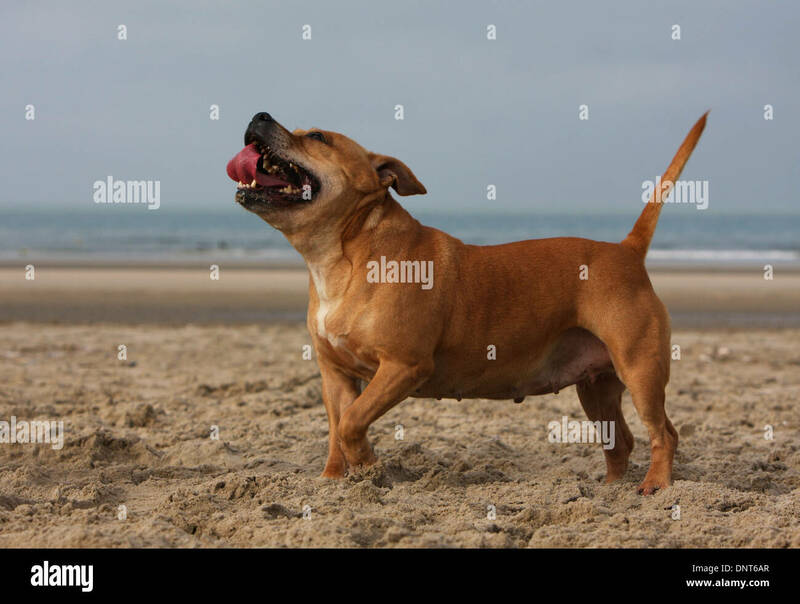 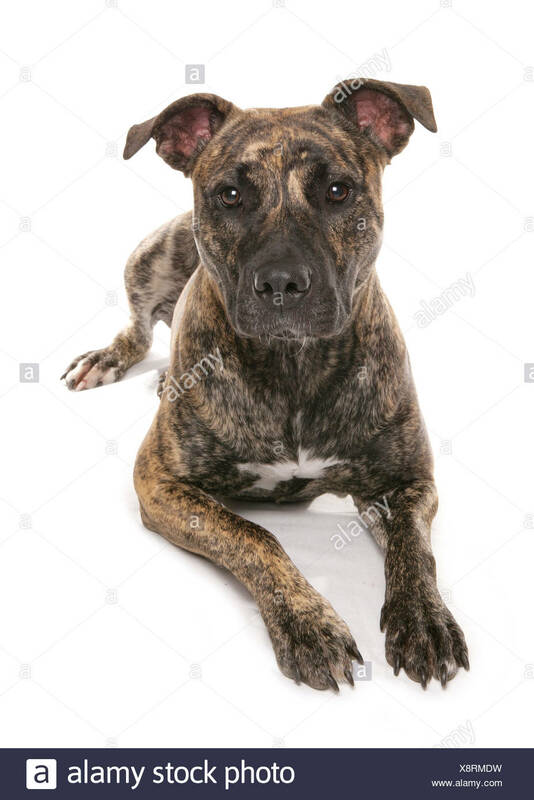 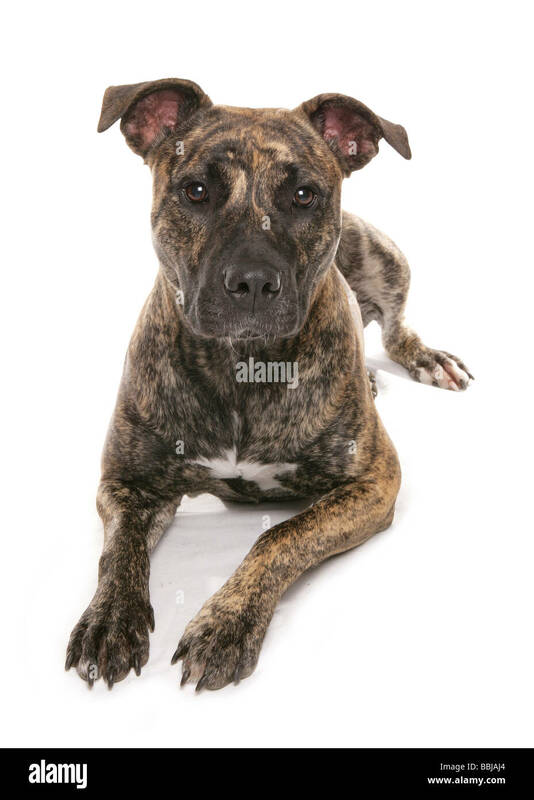 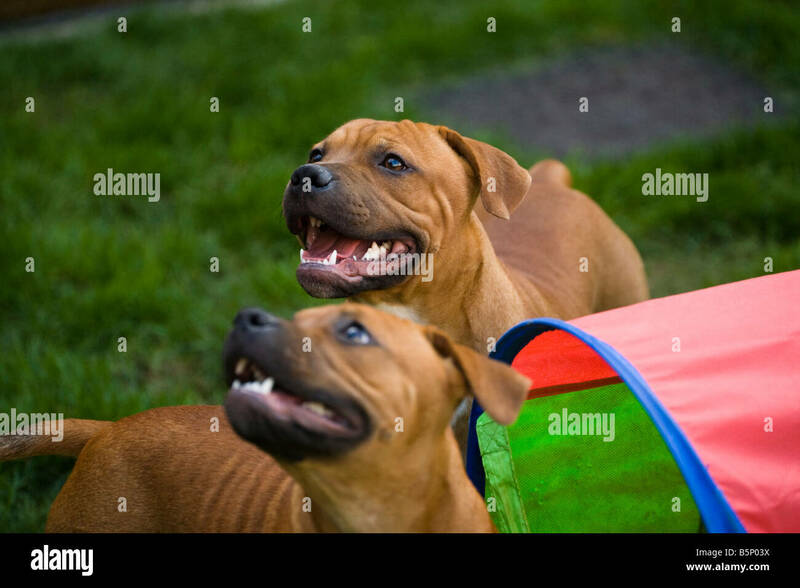 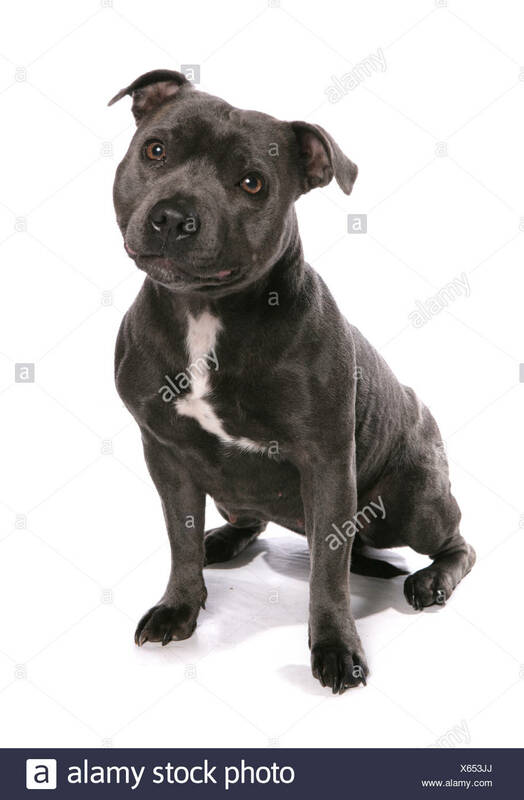 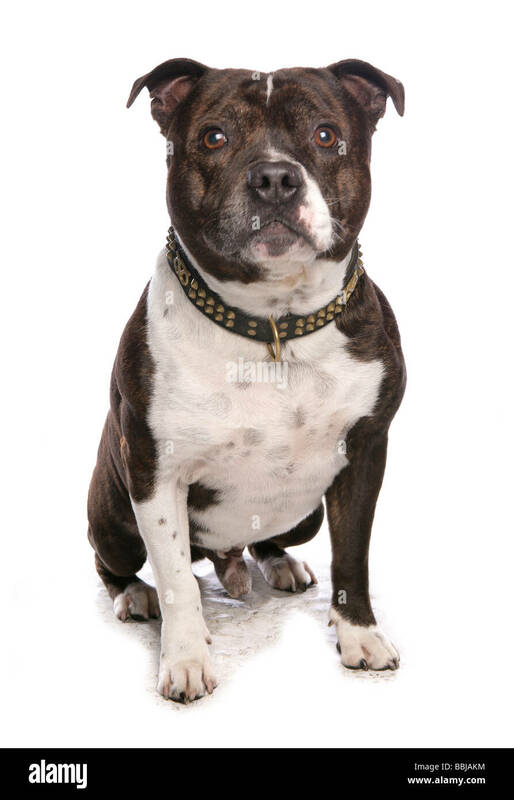 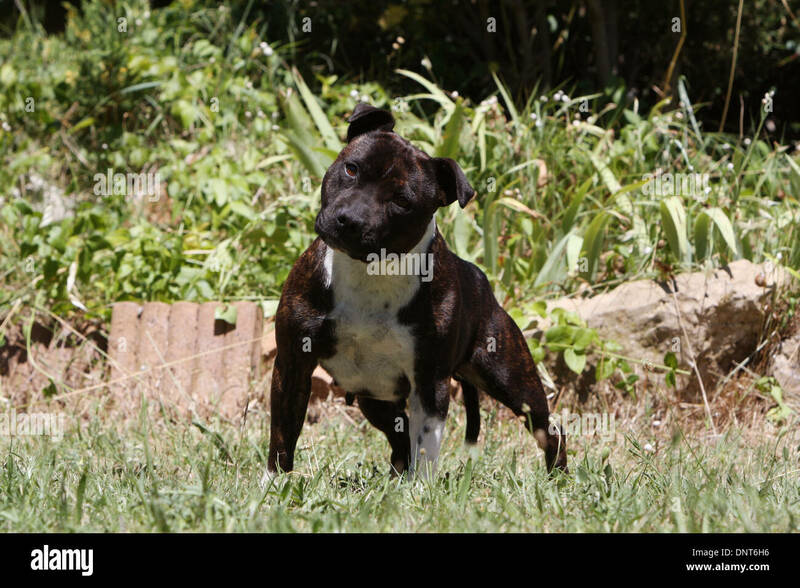 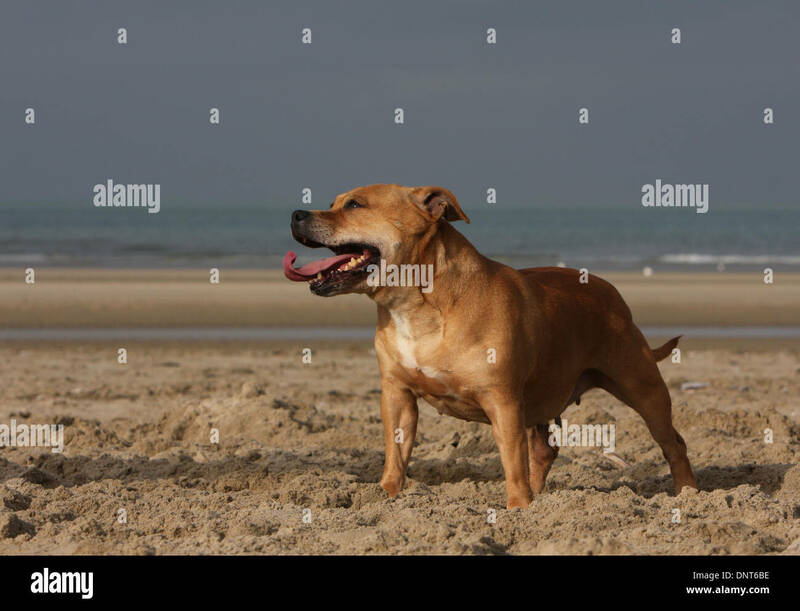 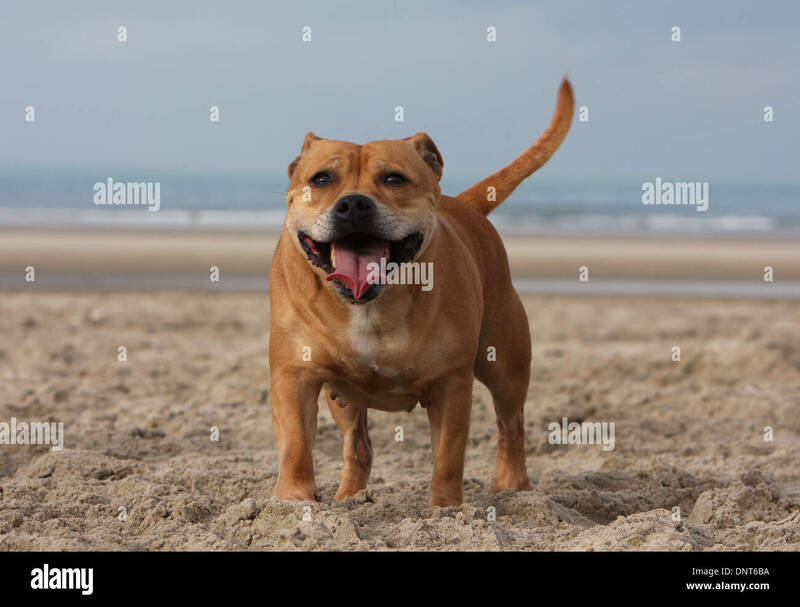 Portrait of Staffordshire Terrier lying on the grass.